On Thursday, April 11th, DCEDC hosted its Annual Economic Outlook Luncheon at Faranda’s. Senior Economist Bill Strauss, of the Federal Reserve Bank of Chicago returned to deliver this year’s forecast to 155 guests. 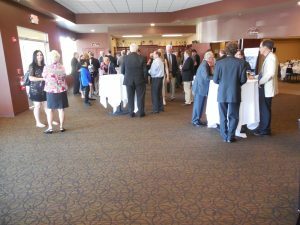 The event began with a high-level networking period, followed by a delicious buffet lunch provided by Faranda’s catering. DCEDC’s Event Chair Gary Evans, welcomed the guests and introduced Strauss by recapping his impressive biography cv-strauss-pdf. Economist William Strauss predicts workers could have a good chance of receiving a raise in 2019. Various sectors in the Midwest are outperforming their other regional counterparts, thanks in part to manufacturing activity. Strauss struck a mostly optimistic tone about the national and regional economy and tamped down fears of a recession.“When somebody says that the economy has been expanding for nearly 10 years, therefore next year we’re in a recession just because we’re due for a recession, to me that is really not very enlightened thinking,” Strauss said. The outlook is better in some sectors than others, Strauss said. Although economic indicators show that workers could get better-than-average wage increases without triggering inflation and manufacturing activity is likely to see healthy growth, local farmers will continue to be frustrated by low prices for commodity crops such as corn and soybeans. Following Strauss’s forecast, DCEDC Executive Director Paul Borek facilitated a healthy Q. and A. session with the guests. He closed the event by thanking all of the event sponsors for supporting this popular annual event, and the guests for attending. He shared core initiatives that DCEDC is undertaking this year, including the relocation of the DCEDC office to 2179 Sycamore Road, DeKalb, IL 60115, in the coming weeks. Thanks to our annual presenting sponsors! 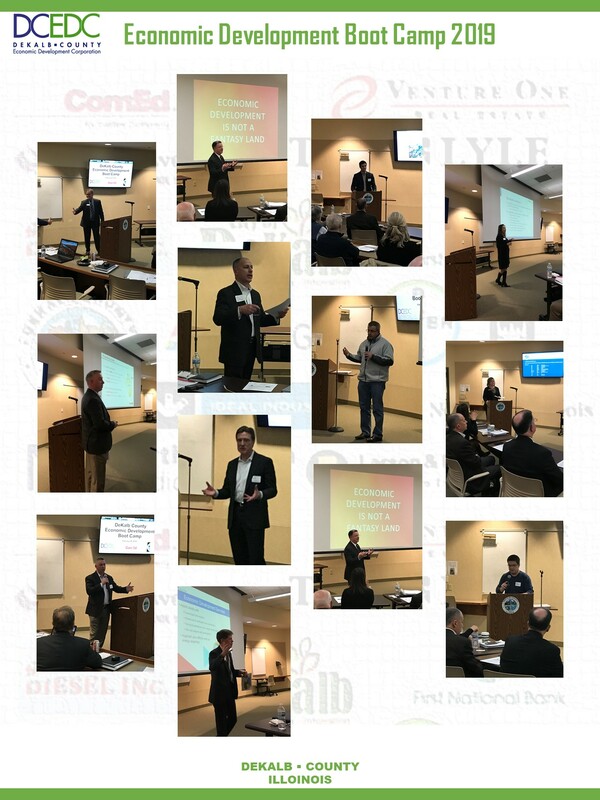 On Wednesday, February 26th, nearly 50 leaders throughout DeKalb County joined together to attend the first ever, Economic Development Boot Camp. The camp was held in the DeKalb County Community Outreach building. ComEd, DeKalb County and DCEDC teamed up to host the event. 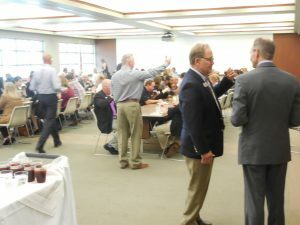 The event was tailored to municipal, elected officials and economic development staff, to receive the tools necessary to effectively encourage economic development in their respective DeKalb County community. The evening began with a complimentary dinner buffet, provided by ComEd. Fatty’s Catering prepared the evening’s delicious meal. Opening remarks were heard by Paul Borek, DCEDC Executive Director, Mark Pietrowski, Jr., DeKalb County Board Chairman, and Cohen Barnes, DCEDC President and business owner of Sundog, Inc. ComEd’s John McCann provided a brief overview of what to expect throughout the evening session. Panelists offered expert insights on the various faucets of their respective industry, with the ultimate focus about attracting diversified and sustainable economic development. Mark Peterson- President & CEO, INTERSECT Illinois, a global powerhouse at the heart of the U.S., a go-to resource for doing business in Illinois. Minah Hall-Managing Director, True Partners Consulting, Site Selection and Credits/Incentives specialist. Jerry Krusinski-President, ChicagoWest Business Center/Krusinski Construction Company, a leading Developer in providing comprehensive construction services by creating long-lasting partnerships with clients. Foti Pappas-Pappas Development, a highly successful and leading Commercial Real Estate Development firm throughout DeKalb County for more than 50 years. 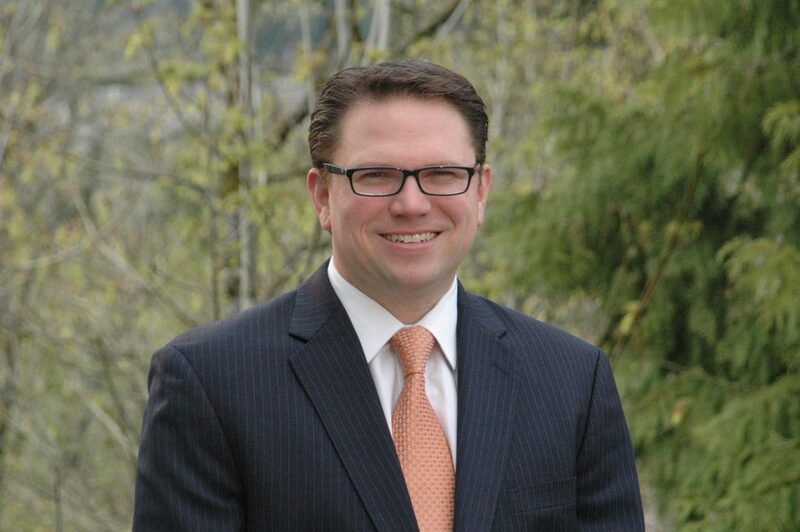 John McCann- Economic Development Business Manager a leading utility provider. Ken Greene-Senior Director of Market Development, Comcast Business Services a leading utility provider. Bernie Anderson-Regional Manager Community Affairs, Nicor Gas, a leading utility provider. Jolene Willis, Economic Development Coordinator for DeKalb County closed the evening with gratitude to all who attended and participated. Willis will be following up with each attendee for their take away and assistance in planning future camps. Copies of the presentations will also be distributed to those who attended. Here is to a unified effort of achieving more WINS! for DeKalb County. Recap of the 2019 DCEDC Business Roundtable Luncheon – Charting a Course for DeKalb-Taylor Municipal Airport. The event will take place on Wednesday, February 6, 2019, at 11:00 am – 1:00 pm and will be held at Faranda’s Banquet Center. Thank you to our loyal Annual Presenting Sponsors! 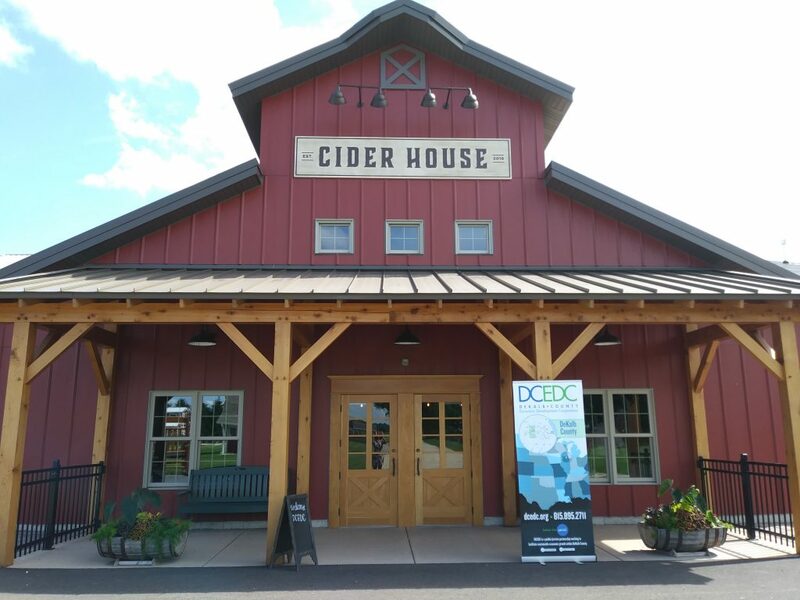 On Thursday, June 28th, DCEDC held a Business Networking & Tour event at the Jonamac Orchard Cider House, where 73 people attended and 7 representatives from Jonamac participated in this wonderful event. At the start of the event, members and guests had the opportunity to engage in networking and were welcomed by the McArtor & Spychal Families. Family members were introduced to attendees and gave a summary of the origin of the Jonamac Orchard. 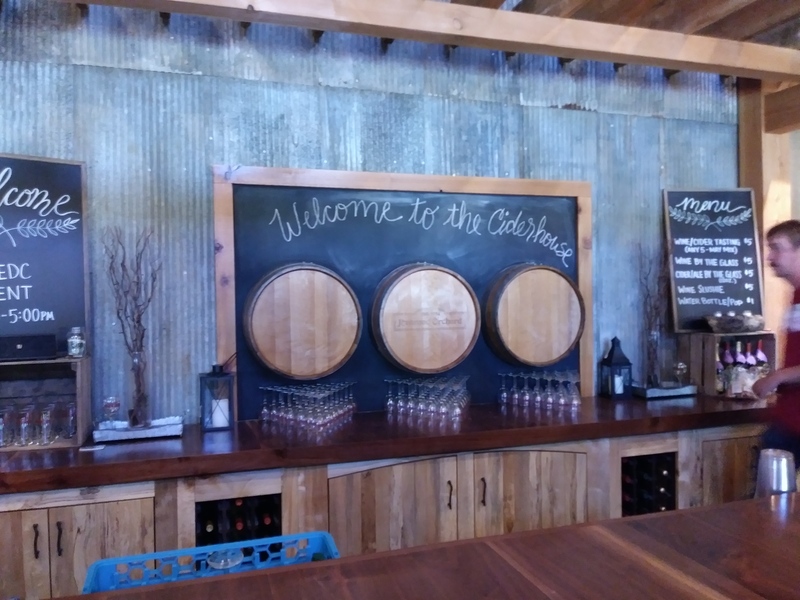 Shortly after, participants enjoyed a “walking-talking” tour of the Cider House, which consisted of delicious tastings, a tour of the production facility, and a “hay-ride” tour of the family’s apple orchard which is home to over 20,000 apple trees. 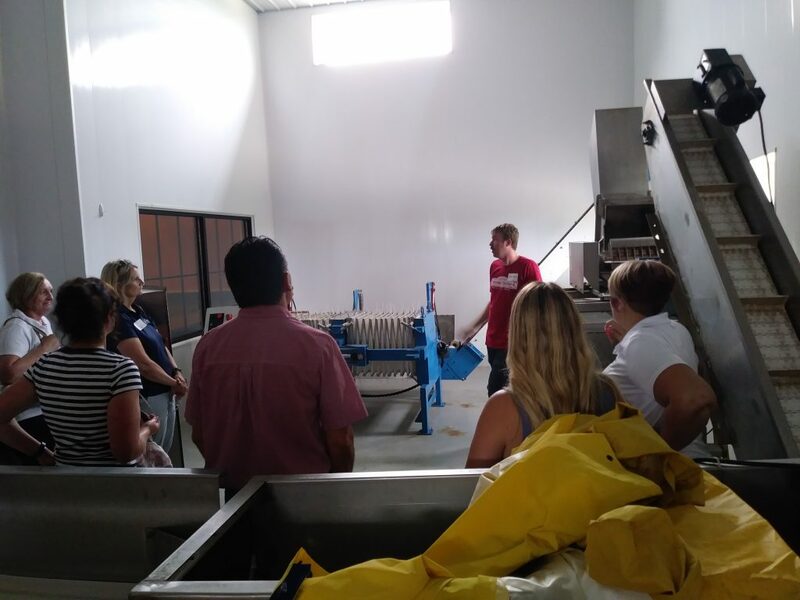 Each tour allowed participants to learn about the history of the Jonamac Apple Orchard as well as the production process of various apples and beverages that the orchard has to offer, as well as the economic impact provided by this family run Agribusiness. 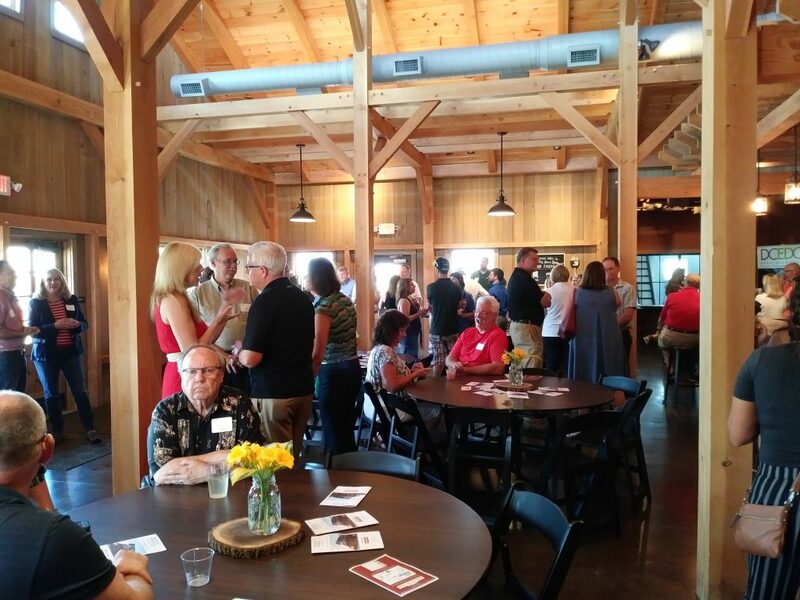 After the tours, guests enjoyed appetizers, further networked, and took advantage of the cash bar to purchase Jonamac’s own delicious products. 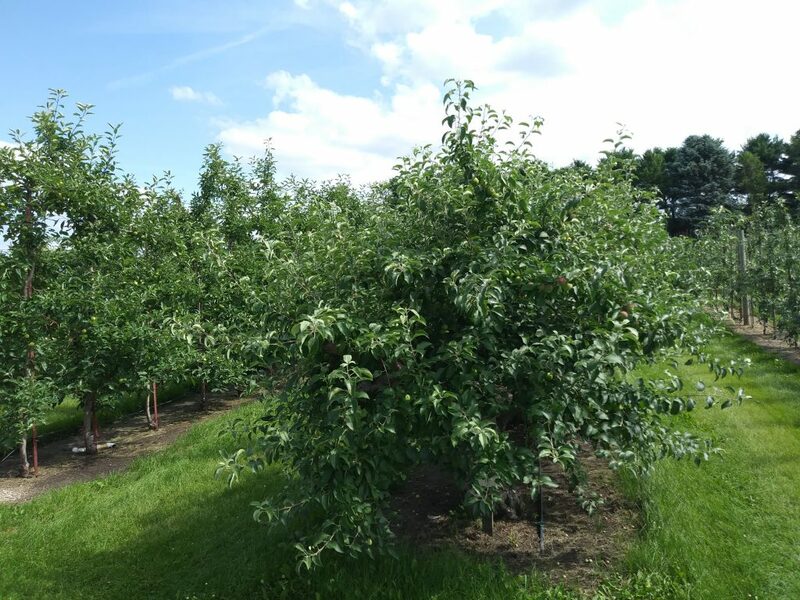 Special thanks to the family and staff of Jonamac Orchard for hosting and participating in this wonderful event at their beautiful facility! 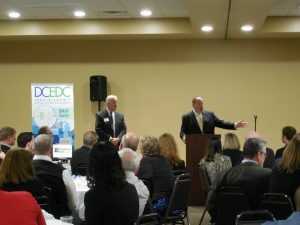 A big thank you to DCEDC Events Co-Chair Gary Evans and DCEDC President Chuck Kaiser, for their guidance and assistance, Premiere Catering/VAC members for catering the delicious food, DCEDC members and guests for attending and participating in the event, and DCEDC’S Annual Event Sponsors for supporting DCEDC business education and networking events: City of DeKalb, Clayco, ComEd, DeKalb County Government, First Midwest Bank, First National Bank, IDEAL INDUSTRIES, INC., Larson & Darby Group, Monsanto, Nicor Gas, Northern Illinois University, Northwestern Medicine, Superior Diesel, Inc., Tate & Lyle Company, and Venture One Real Estate. 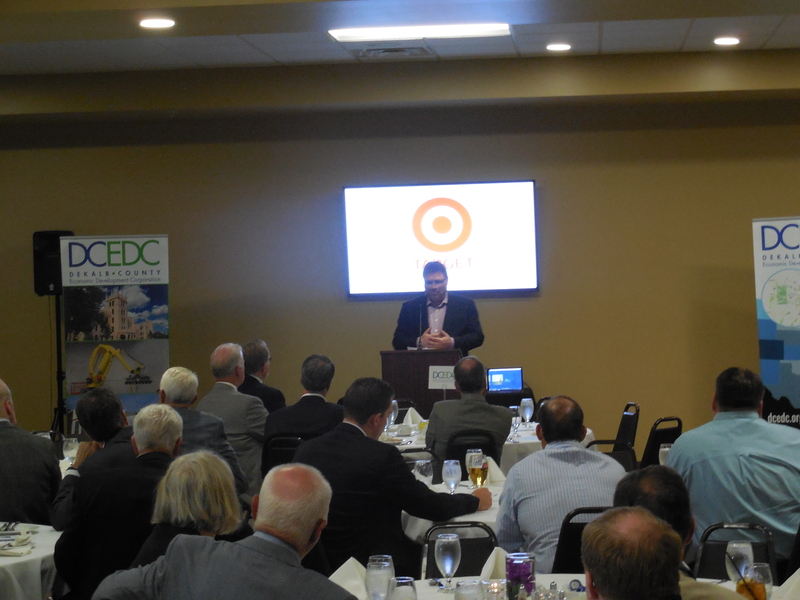 On Thursday, March 22nd, DCEDC hosted its Annual Economic Outlook Luncheon at Faranda’s, featuring the Federal Reserve Bank of Chicago. 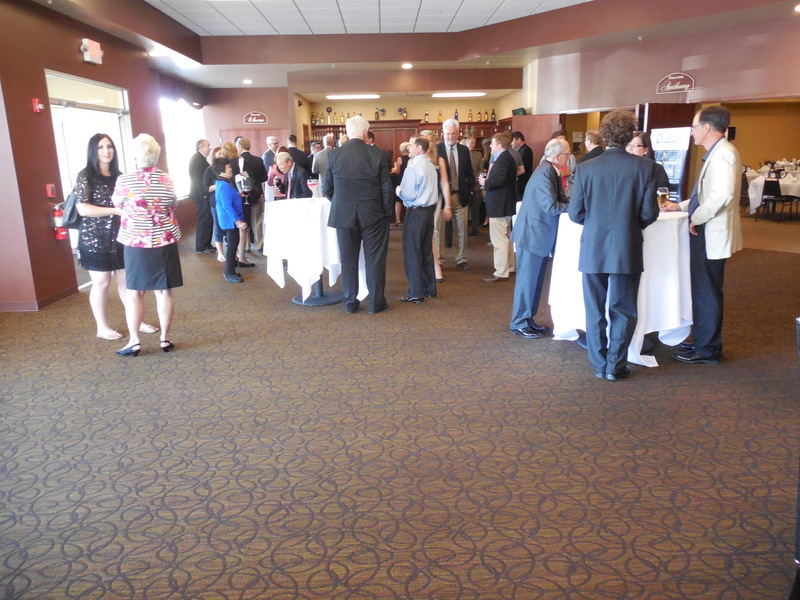 The event began with dynamic networking along with a delightful lunch buffet. Following the delicious lunch, DCEDC’s Event Chair, Gary Evans, welcomed nearly 150 guests and introduced the event’s keynote speaker, Bill Strauss, Senior Economist of the Federal Reserve Bank of Chicago. 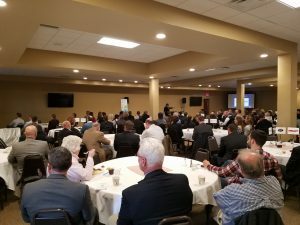 Strauss briefly reviewed the content that was presented in the 2017 Economic Outlook Luncheon and described changes in the economy that occurred since 2017. He provided several forecasts regarding factors that may influence the state of the economy during the coming years until 2020. In summary, Strauss noted that the outlook for the U.S. economy is likely to expand at a pace above trend in 2018, 2019, and 2020, and that the probability of another recession has “eased”. He also highlighted the decreasing unemployment rate and the potential for increased wages and benefits. Additionally, he explained the issues associated with productivity growth, described the possible increase in inflation rates, increased manufacturing output, modestly improving housing construction, and an expected modest decline in vehicle sales. Strauss concluded his talk by responding to questions from the audience. 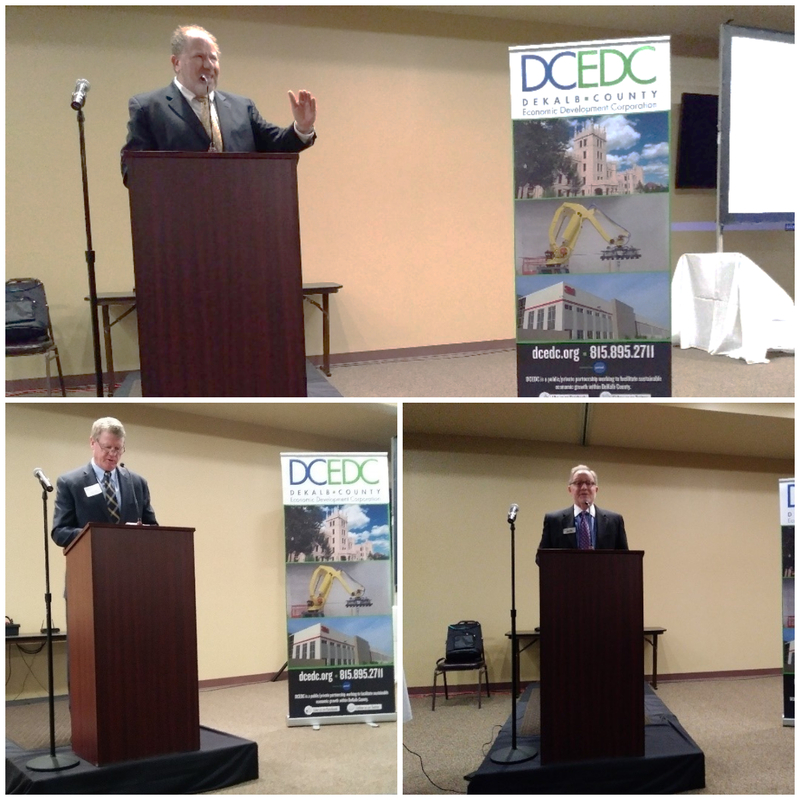 DCEDC Executive Director, Paul Borek, ended the event by thanking Bill Strauss for presenting the Economic Outlook for 2018 and recognizing guests and sponsors for attending the event and supporting economic development. 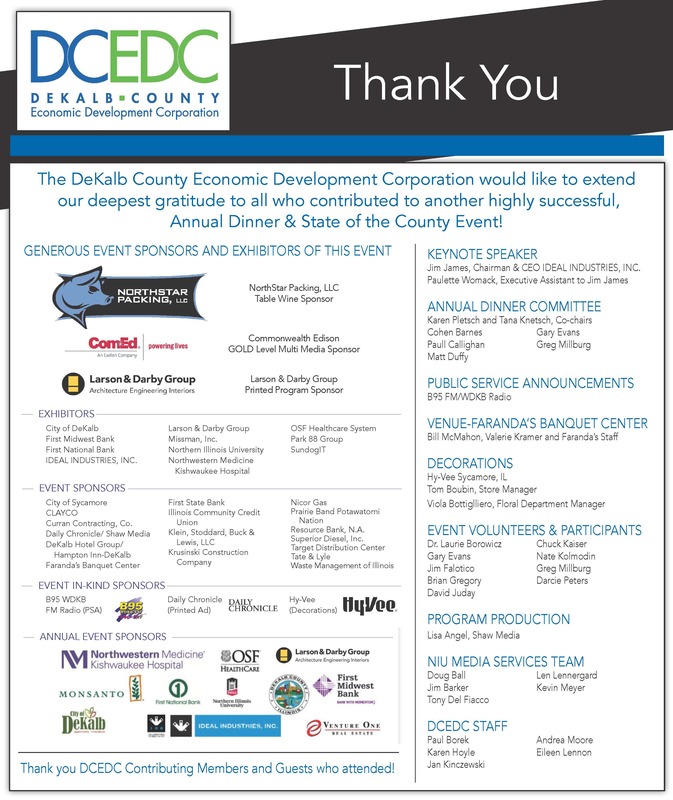 DCEDC extends a big thank you to our presenters, participants, and our Annual and Economic Outlook Event sponsors: City of DeKalb, Clayco, ComEd, DeKalb County, First Midwest Bank, First National Bank, IDEAL INDUSTRIES, INC., Larson & Darby Group, Monsanto, Nicor Gas, Northern Illinois University, Northwestern Medicine, OSF Healthcare System, Superior Diesel, Inc., Tate & Lyle, Venture One Real Estate, Baxter & Woodman, City of Sycamore, Curran, Enbridge, Encap Inc., First State Bank, Heartland Bank, Illinois Community Credit Union, IMEG, Northern Rehab Physical Therapy Specialists, Shepard Construction, The Sycamore Industrial Park, and Target. 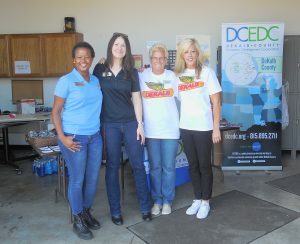 Finally, a very special thank you to DCEDC Member Faranda’s, for catering this wonderful event. 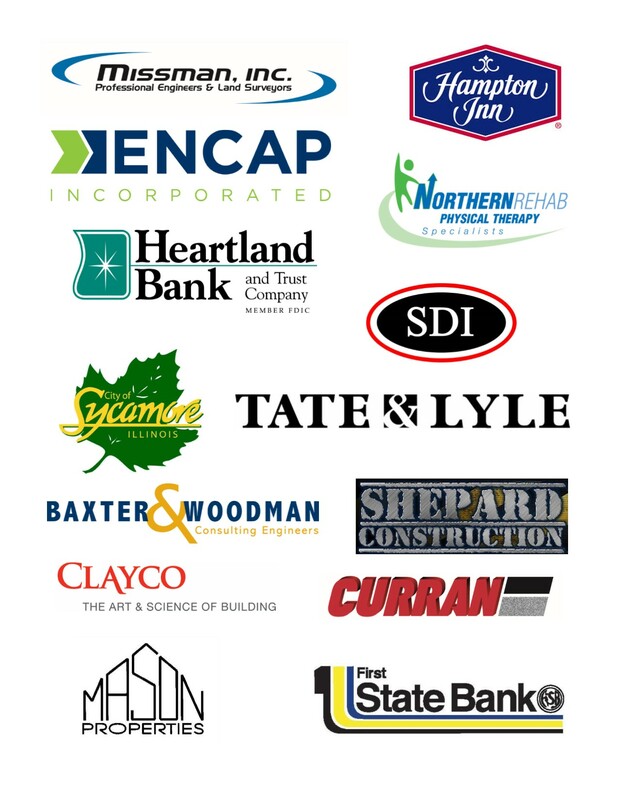 DCEDC quality events are made possible by our 16 Annual Event Sponsors listed below! Thank you for your ongoing support of our work. 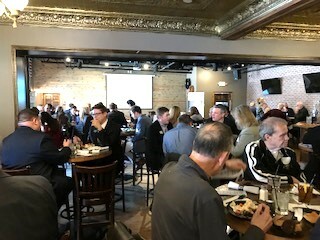 On Thursday, February 22nd, DCEDC hosted a Business Educational and Networking Event at Fatty’s, featuring INTERSECT Illinois. The event began with high-level and vibrant networking along with a delicious buffet luncheon. 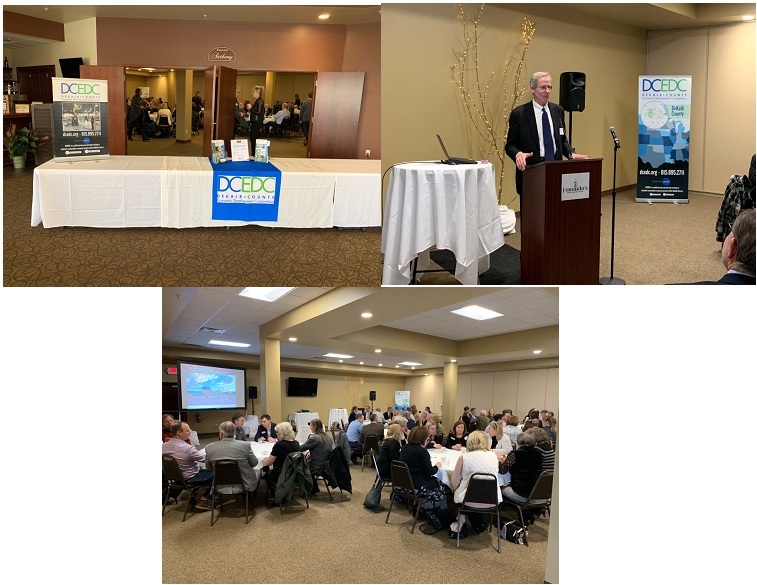 Following the delicious lunch, DCEDC’s President, Chuck Kaiser, welcomed nearly 100 guests, and introduced the event’s keynote speaker, Mark Peterson, INTERSECT Illinois’ CEO & President. 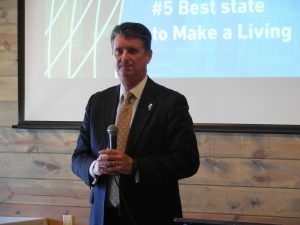 Peterson discussed the vision, mission, and values of INTERSECT Illinois and its goal to position the state of Illinois as one of the most innovative locations worldwide and to draw attention to new investment, employment, and economic wealth. He also addressed INTERSECT Illinois’ current priorities, which includes business development; relationship building among investors, economic developers, leaders; and resource development as well as active projects and their marketing partner plan. Peterson ended his talk by opening the floor to questions, where he answered questions surrounding the state of Illinois, its collaboration with universities, tools that INTERSECT Illinois has to offer, funding with projects, and the competitive advantages of DeKalb County, Illinois. 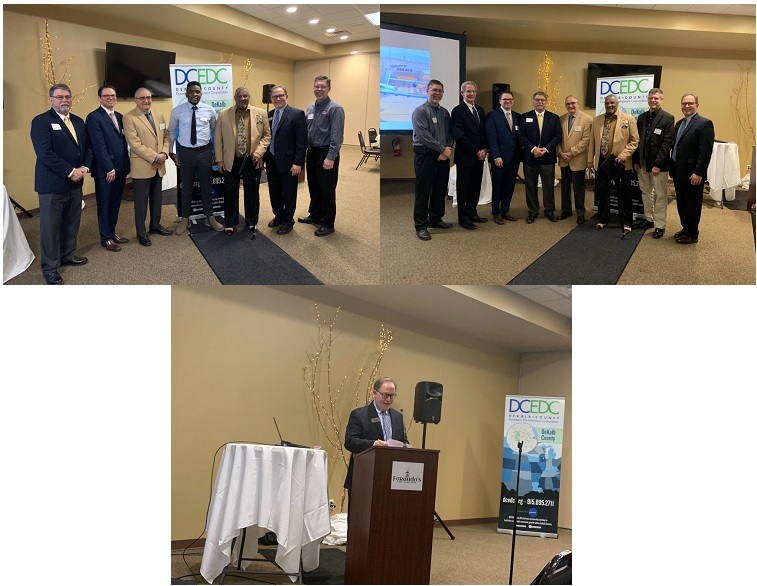 The presentation was closed by DCEDC’s Executive Director, Paul Borek, who thanked Mark Peterson and the ongoing efforts of INTERSECT Illinois’ dynamic partnerships with DeKalb County and the state of Illinois to attract domestic and international projects going forward. 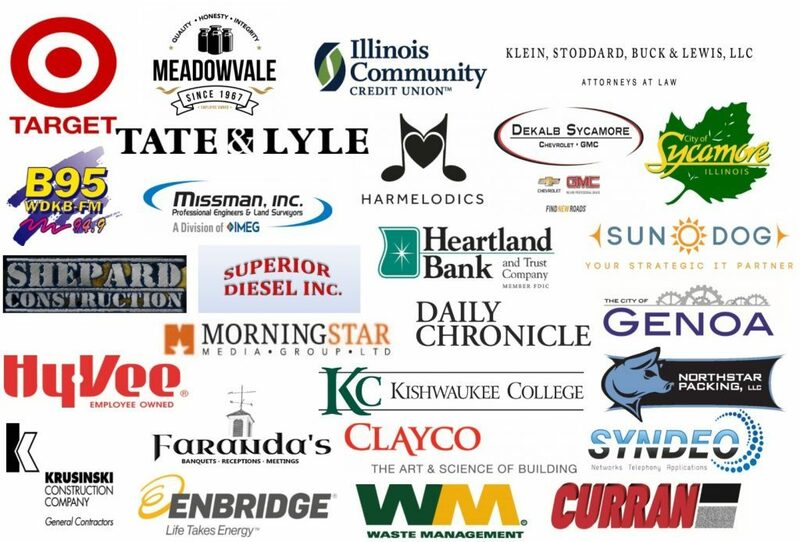 DCEDC wants to extend a big thank you to our presenters and to the following event sponsors: City of DeKalb, Clayco, ComEd, DeKalb County, First Midwest Bank, First National Bank, IDEAL INDUSTRIES, INC., Larson & Darby Group, Monsanto, Nicor Gas, Northern Illinois University, Northwestern Medicine, OSF Healthcare System, Superior Diesel, Inc., Tate & Lyle, and Venture One Real Estate. Finally, a very special thank you to DCEDC Member Fatty’s, for catering this terrific event. 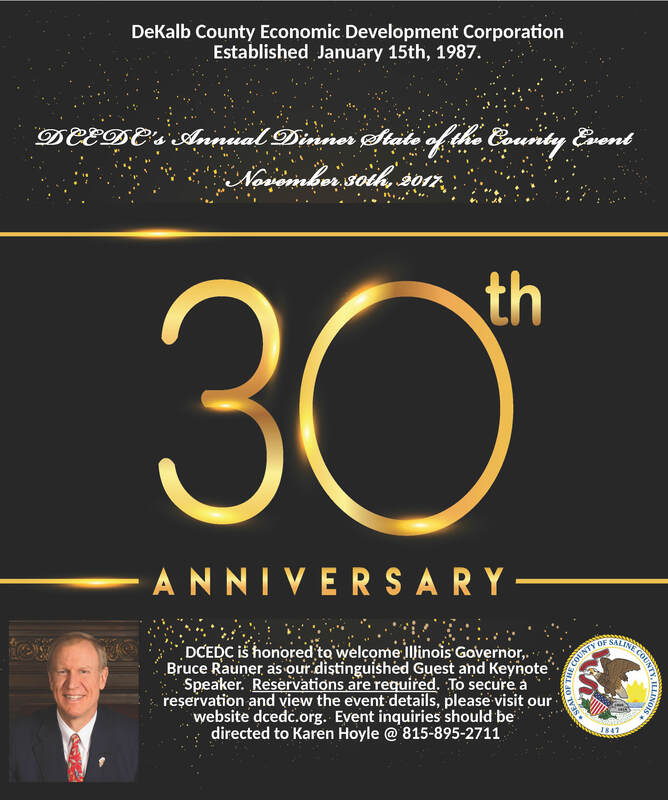 DCEDC was honored to welcome back Governor Bruce Rauner as our Keynote speaker for our Annual Dinner/State of the County Event. As Governor, his goal has been to create a more prosperous state by delivering value to taxpayers and creating a pro-jobs economic climate. 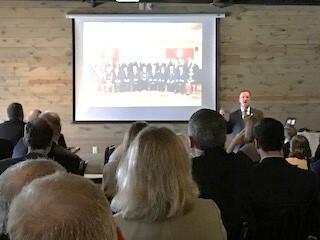 The Governor and his Economic Development team at INTERSECT Illinois and the Department of Commerce have worked closely with DCEDC to promote DeKalb County during his term as Governor on international trade missions. 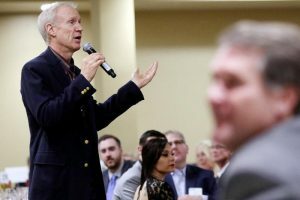 Rauner said both industries are terrific examples of the expansion and success that is possible, when arduous work is combined with a supportive business climate. Rauner explained to the guests about the projects that he is working tirelessly on during the last year. Projects include, but are not limited to, reversing the income tax hike, and lowering property taxes, implementing reforms to improve the climate for business expansions in the state. He believes this is possible if workers’ compensations costs are in line with the national averages. Rauner is also working towards reducing the regulatory burden to help Illinois win over businesses among other states that have fewer regulations. Rauner is continuing to promote the State of Illinois on an international level. Rauner recently visited Israel. During his time in Israel, Rauner was inspired by the research collaborations that he saw. 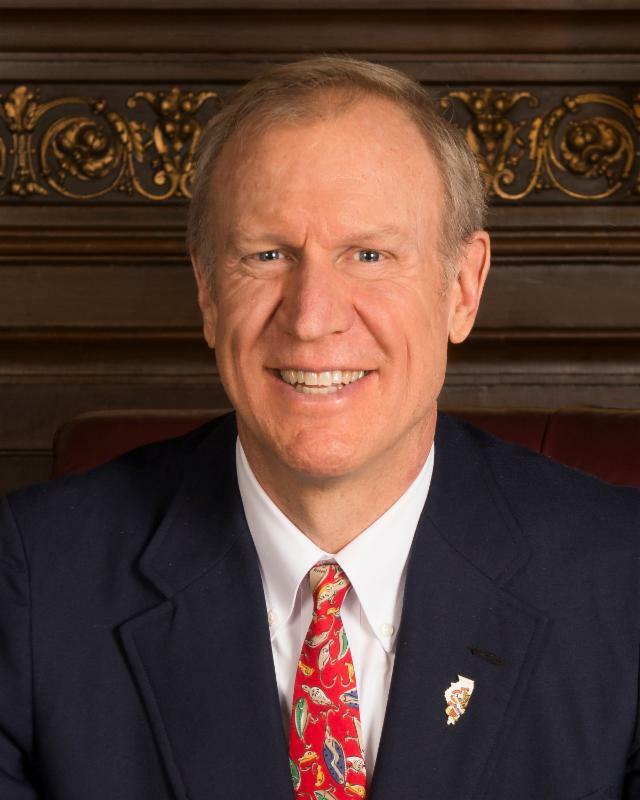 Rauner also plans to visit Europe in March, to lure companies to Illinois with the promise of lower taxes. Rauner believes that Northern Illinois University is one of the greatest universities in the Country! Education is going to be the top priority in future budget considerations because he is a supporter of the state university system. Rauner concluded with a Q&A taking any question from the large crowd. He left the audience motivated to continue working hard for the betterment of DeKalb County, IL. The initiatives he plans to implement will provide a stronger economy for DeKalb County and the state of Illinois. 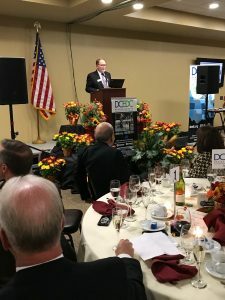 Paul Borek, DCEDC’s Executive Director gave the State of the County Address at DCEDC’s 30-anniversary celebration on November 30th, 2017. Borek discussed that, in 1986, county, municipal and business leaders met to pool resources that formed an organization in early 1987. The purpose of the organization is to market the county and its communities, attract business investment and create jobs. In 1987, there were 3 industrial parks, 133 industrial businesses, and over 7.3 million SF of industrial space. Employment was just under 34,000 and the population was just under 75,000. Since then, a focused effort on industrial development by public and private partners resulted in the establishment of 10 new industrial parks, the number of industrial firms tripled to more than 370, the amount of industrial space more than doubled to just under 17 million SF., employment increased 52%, while population increased 41%. Borek mentions that in 2017 we were most productive for investment and job creation. Capital expenditures exceeded $135 million, and over 430,000 SF of industrial space was developed. This production resulted in the creation of 800 new jobs for the second year in a row and driving the unemployment rate down by 5.2%. Next, he mentioned many of the notable accomplishments through the 30 years of business in his presentation. 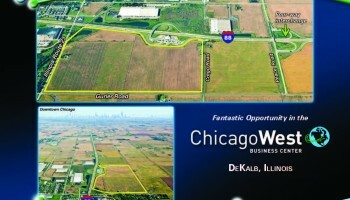 Below are highlights from the cities within DeKalb County, IL. In the City of DeKalb, the notable accomplishments are, 3M has increased employment to over 1,000, adding 400 jobs in 2017. 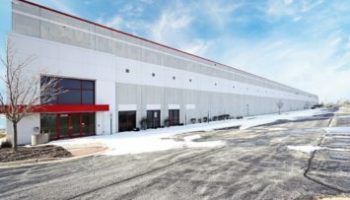 Their 987,000 SF, $40 million distribution center – developed by Clayco & Venture One Real Estate last year – brings 3M’s total footprint in DeKalb to 2,500,000 SF. Next, Target won an Edie Award from the Illinois Chamber and Illinois Economic Development Association. 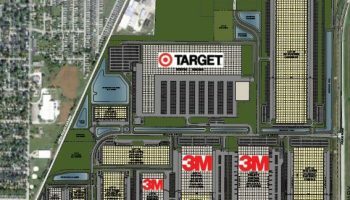 This award recognized Target for they’re $50 million conversions of the DeKalb regional distribution center to a national Upstream Distribution Center adding 400 jobs in 2016. Developer SparrowHawk, completed the buildout of the 711 Fairview Drive building to house Solotech USA’s live entertainment and corporate events production business. Solotech in turn invested in video equipment, sound systems, stage lighting and rigging to serve the needs of their musical artists. The DeKalb County Enterprise Zone Program was important to both projects. 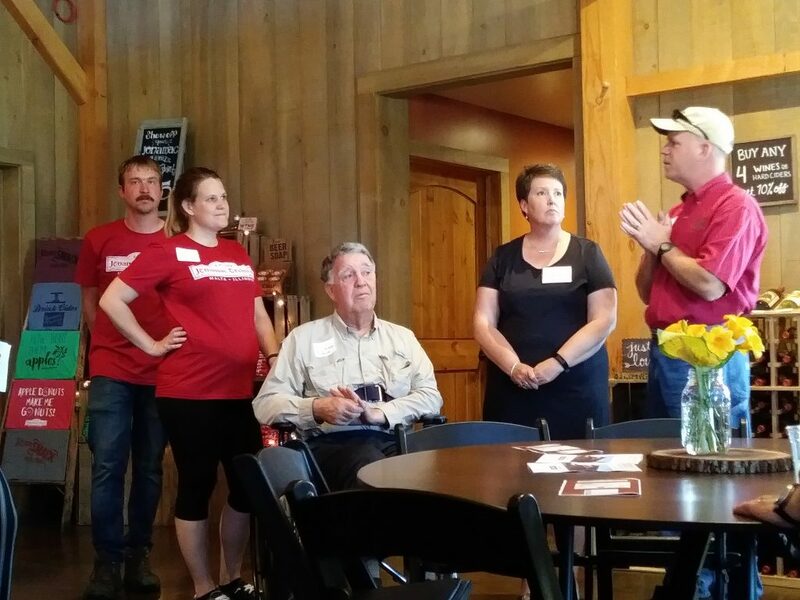 In the City of Sycamore, there were many initiatives that Borek discussed that have affected the economy. The Suter Company is under construction with its 4th expansion in ten years on Bethany Road in Sycamore Prairie Business Park. The shelf-stable food processor is adding 81,000 SF to their Bethany Road plant. 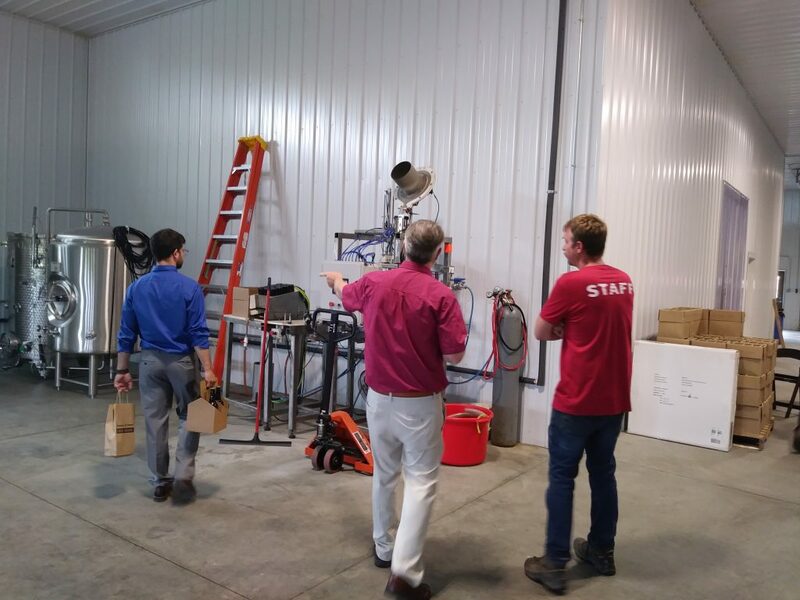 IDEAL INDUSTRIES, INC. expanded their Intrapreneurship Partnership with Northern Illinois University at their DeKalb Plant to include four teams of 20 students working on new IDEAL products and technologies. After starting up operations last year, Innovative Growers Equipment has expanded production of its hydroponic growing table production business to over 60,000 SF. The Town of Cortland has had remarkable growth throughout the years. Especially this year with, Theisen Roofing expanding their operations to Stephanie Drive, and DC Trash erected a new building on East North Avenue to accommodate their waste hauling and recycling business. 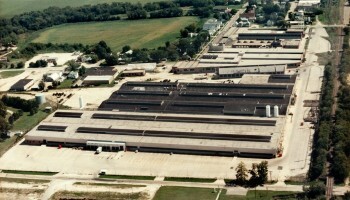 The Village of Maple Park is home to several agriculture industries one industry is, A & P Grain Systems. A&P Grain Systems provides agricultural services and equipment to producers throughout the region over the past years. The City of Genoa expanded with new operations at J6 Polymers who completed a build-out of its aerospace polymers production facility on Derby Line Road. J6’s structural composites have been used in every NASA space shuttle mission and are now approved for Mars. Custom Aluminum Products completed major expansions in Genoa during each of the past two years after absorbing all the space in their 400,000 SF manufacturing complex. The Village of Kingston’s Johnson Industrial Park has accommodated several industries that have been successful within the past years. Within this past year, Floor Mart opened a floor covering distribution facility and DeKalb County Lifts built a new building to house their growing custom truck & SUV accessories business. Manufacturing has anchored Kirkland’s economy, including the Hines Lumber’s Millwork Plant on Route 72 and Hines’ recent acquisition of the Truss Plant in the Bull Run Industrial Park. After developing a new manufacturing plant in Bull Run in 2001, Shapemaster has evolved into a leading cutting tool manufacturer. 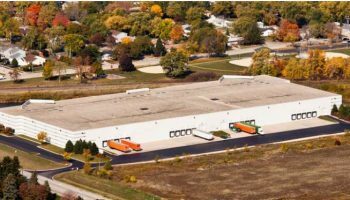 Notable Industrial development in the Village of Hinckley over the years is the former 84 Lumber distribution center for Brackmann Trucking terminal and service center, and Step One Stairworks custom stair manufacturing facility. 1803 Candles completed a new building to support their growing production, sales, and distribution operations in the Village of Waterman. As well as Monsanto’s expanded research in, seed production and quality control operations have nurtured agribusiness in Waterman. NextEra Energy has set up operations in the Shabbona Industrial Park. NextEra Energy has developed a 217.5 megawatt Wind Energy Generation Plant in southwestern DeKalb County in 2009. Meadowvale, Inc. completed extensive renovations to three industrial buildings in the Sandwich Industrial Park. These improvements have created a state-of-the-art soft serve, ice cream, and custard production facility. Gord Industrial Plastics completed their new manufacturing plant, replacing their former building that was destroyed by a fire in 2015. The DeKalb County Enterprise Zone Program was significant to both the Meadowvale and Gord projects. Precision Enterprises has expanded several times in the Village of Somonauk’s downtown, and along Somonauk Road. These improvements have accommodated the growth of their diversified aluminum foundry and machining business. In the Village of Malta, Kishwaukee College operates the Illinois workNet Center to help companies identify workers and provide training programs to prepare workers. Over the years contributions to education, workforce development, and business services have been enhanced by the addition of new facilities, including the Student Center, the Diesel & Automotive Technology Building, and the Conference Center at the Malta campus. 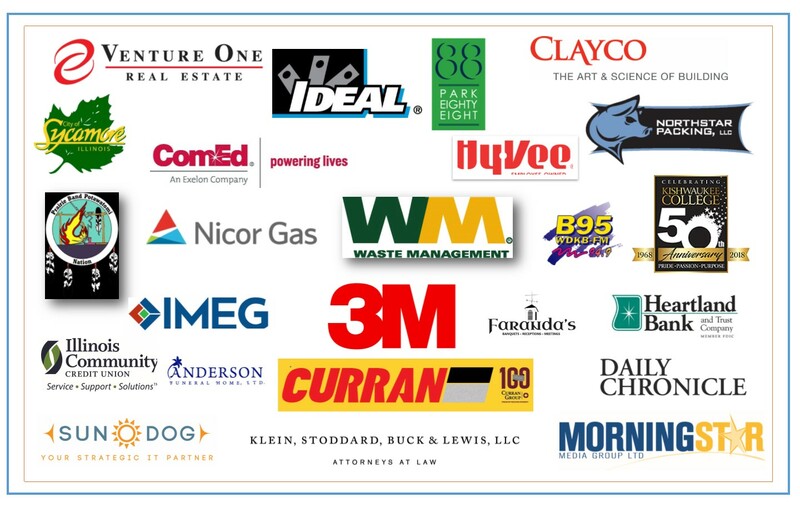 Thank you to the following Sponsors for supporting our Event! 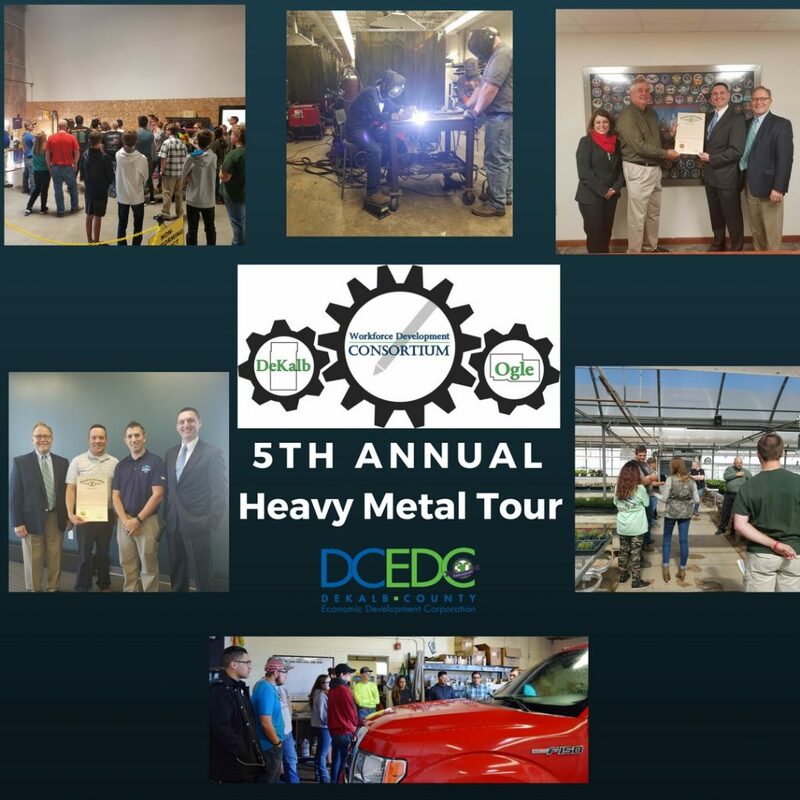 Scheduling issues prevented the Heavy Metal Tour from occurring on Manufacturing Day, but rescheduling did not prevent the students from participating in an outstanding tour provided by eight area businesses and Kishwaukee College. September 29th dawned a gorgeous day and all one hundred and five students were on board buses by 8:10 am and heading to their first stop. Genoa-Kingston students did not go far before they stopped at one of the newest operations in Genoa, J6 Polymers. The students were introduced to “J-foam, a proprietary material used in a variety of applications including aircraft. Nick Bender from the Illinois Commerce Department presented Bob Wood, owner of J6, a Proclamation from Governor Rauner, and thanking J6 Polymers for their first-time participation in the Heavy Metal Tour. At the same time, Sycamore students headed north to Sycamore Precision, where Mike Hirn and his wonderful staff provided an in-depth tour of the Genoa-based CNC job shop. Sycamore Precision provides a diversified customer base with quality machined cast components. Rochelle students dropped by the newly renovated Prescott Brother’s Ford dealership, where Chad Young showed students the various departments and career paths available in the automotive industry. Finally, DeKalb students went cross-town to Target Distribution, where General Manager Mike Milano explained the “Target culture” and what it takes to be a Target employee. With over 700 employees and eight miles of conveyor, Target distribution provided an interesting insight to the world of logistics. Roughly an hour later, all the students were back on board buses and heading to the second industrial stop on their tour. Genoa students headed south to take a look at IDEAL Industries, the family-owned international supplier of tools and electrical testing equipment. A market leader in the production of “wire nuts,” IDEAL also supplies “Audacy” a wireless lighting control system for the Chicago Cubs. To recognize IDEAL for five years of Heavy Metal Tour sponsorship, Nick Bender also presented a Proclamation to IDEAL Industries. Meanwhile, Auto Meter Products hosted the Sycamore students to their facility downtown. Auto Meter is a manufacturer and supplier of automotive instrumentation. Carving out a niche in the automotive market is tough but Auto Meter accomplished this and more. They are a recognized leader in auto electrical testing devises, automotive telemetry, OEM and aftermarket instrumentation, with benchmark level quality and performance. The Rochelle Hubs proceeded north to Lindenwood to visit Swenson Products. This operation builds medium-sized spreading and plowing equipment for municipalities and airports. Bill Hinzsche and his staff answered questions and gave insight into the building of snow removal equipment. Last, but not least, DeKalb visited H. A. Phillips the builder of ammonia-based refrigeration equipment. We are not talking about freezers, we talking about the equipment that it takes at the United Center to have a Bulls game on one night and the Blackhawks on home ice the next night. The steel is typically over an inch thick and the folks at Phillips form it and weld it perfectly. Brian Youssi is the President of the operation and he conducted the informational tour. As the noon hour approached, all the buses headed toward Kishwaukee College. As the point of the congregation over the last five years, Kishwaukee College provides tours through their Career Technologies Wing. Zach Caccia and his students provide demonstrations in three different disciplines in the welding lab. Pete Campbell introduced the students to Computer Numeric Control code and then watched a machine follow the code to create a medallion for the fifth annual Heavy Metal Tour. Charles Raimondi gave the students a quick look at the world of electronics, circuit boards, programmable controllers and proximity switches. Various instructors guided tour through the auto tech, diesel tech and horticulture areas. Each group stopped for pizza lunch provided by Walt Ltd, a machine shop that does projects for local companies, a long-time supporter of D/OWDC and Kishwaukee College. The marketing department at Kishwaukee College also provided all students a uniquely designed t-shirt commemorating the event. Many thanks to all the hosts, sponsors and participants for making the fifth annual Heavy Metal Tour a success. All the students returned to their home schools by 2:30 pm and were ready for some rest. 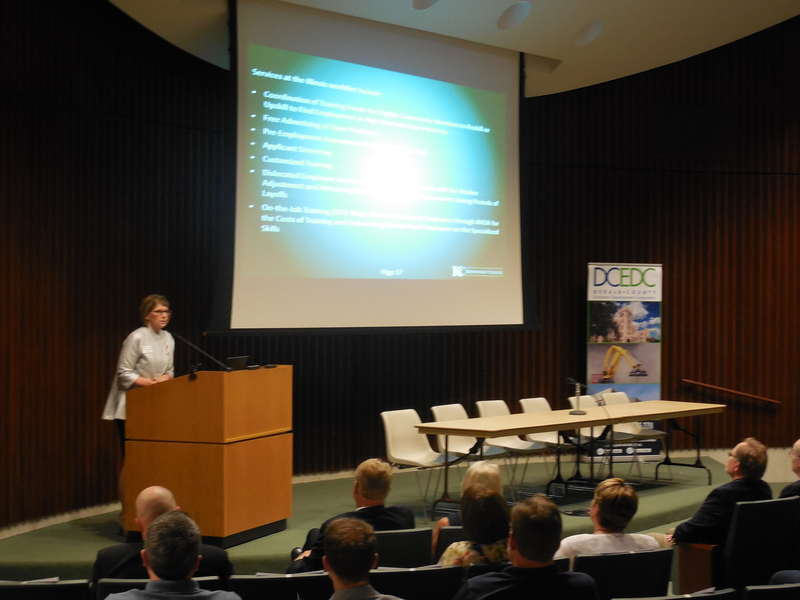 On Wednesday, August 16th, 2017, DCEDC hosted a Business Roundtable Event & Tour at the Monsanto Research Facility in Waterman, IL. DCEDC guests were enlightened on how Agriculture affects the local, national and global economy. 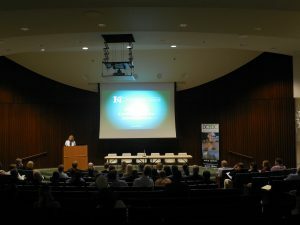 Featured presenters included Troy Dukes, Renee Nowak, and John Hardin. Dukes spoke to the production site methods and how Monsanto is utilizing and applying, the latest technology and innovations from the 21st century. Monsanto’s Renee Nowak shared information about the millions of tests that Monsanto must undergo in order to provide farmers with the best products. John Hardin from Monsanto explained processes in the entomology, pathology and breeding departments that take place the Waterman site. The Waterman site is a large contributor to the farmers located in the northern region. Special thank you to the guidance of Dr. Andrea Dolezal and Dr. Judd Maxwell for guiding our guest through the tour. Along the tour, guests could witness first hand, plot disease, the history of corn and the entomology sites. 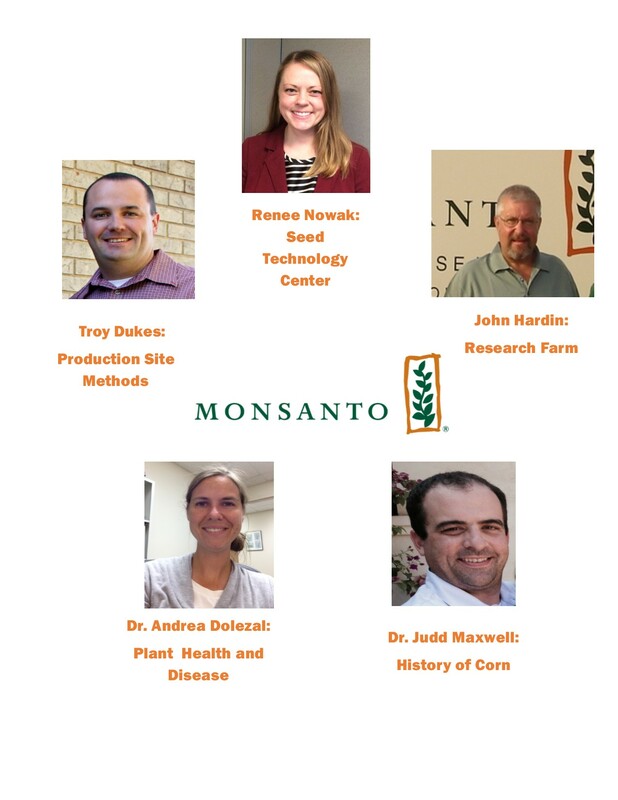 DCEDC would like to thank all the event participants and the staff members at the Monsanto Research facility! We are sincerely appreciative of your support and organization for this event. 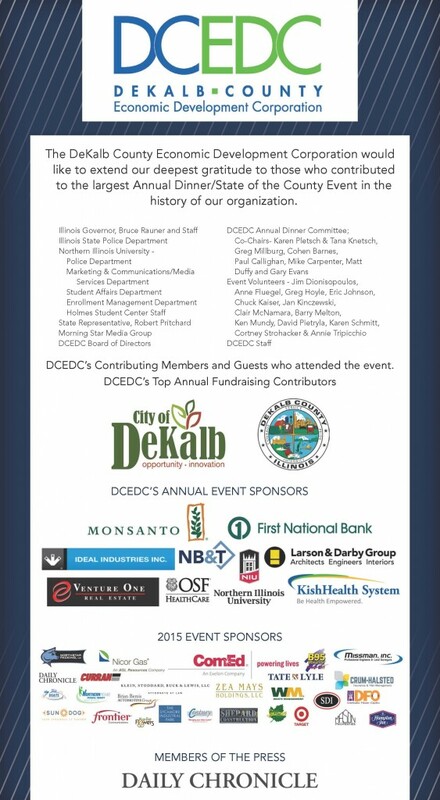 Many thanks to our Annual Event Sponsors, DeKalb County Government, Northwestern Medicine, Nicor Gas, Northern Illinois University, OSF HealthCare, Larson & Darby Group, Monsanto, ComEd, Ideal Industries, Inc., Venture One Real Estate, City of DeKalb, First Midwest Bank, and First National Bank for your contribution to this, and all the DCEDC events! 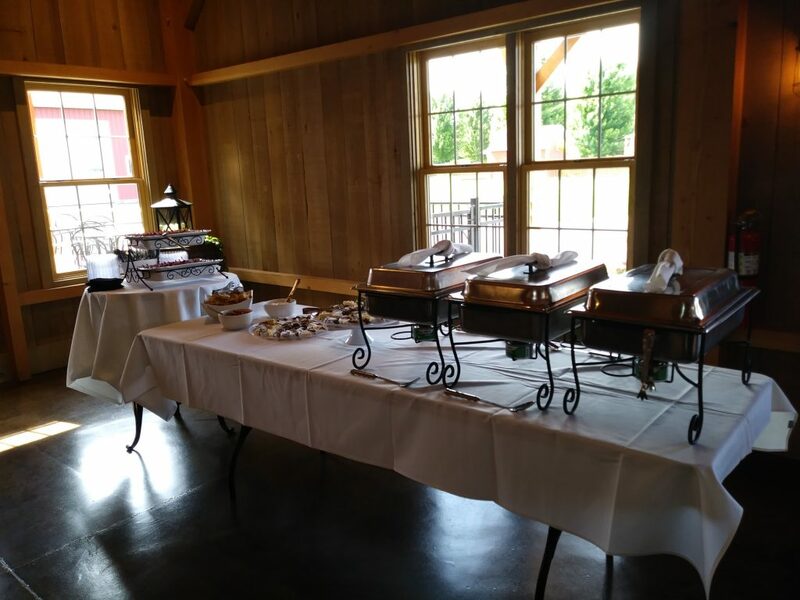 The delicious picnic style luncheon was prepared by DCEDC’s Member, Tom & Jerry’s of Sycamore/Catering by Diann. 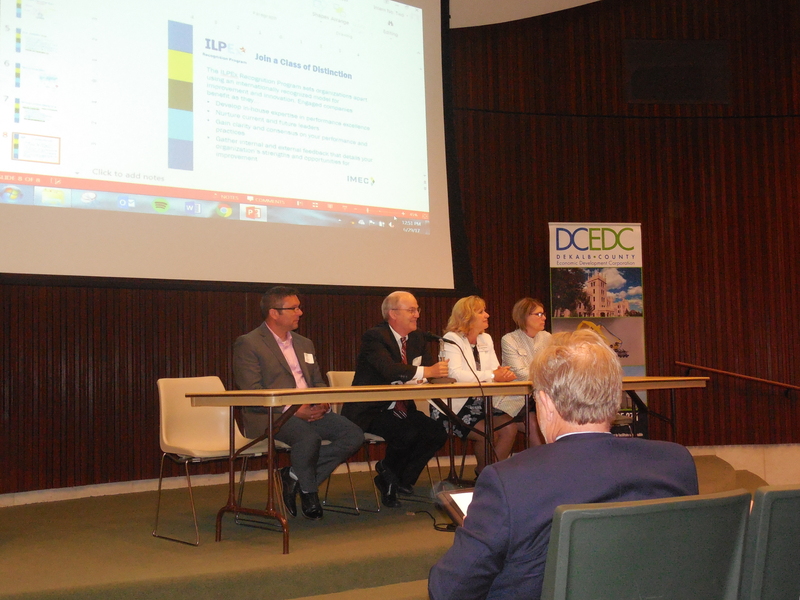 We appreciate our guests who attended another quality DCEDC Event! DCEDC would like to thank all the event participants and the staff members at the Monsanto Research facility! Special thanks to our Annual Event Sponsors for your contribution to this, and all the DCEDC events. 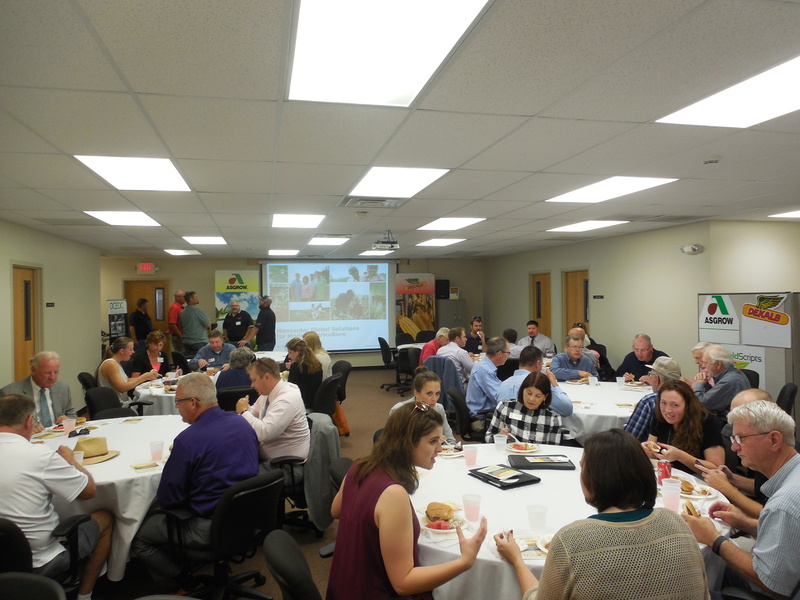 On, June 29th ,2017, DCEDC held their annual Industrial Focus Luncheon at the DeKalb County Farm Bureau. DCEDC thanks its long-time partner for hosting the event in its beautiful venue. 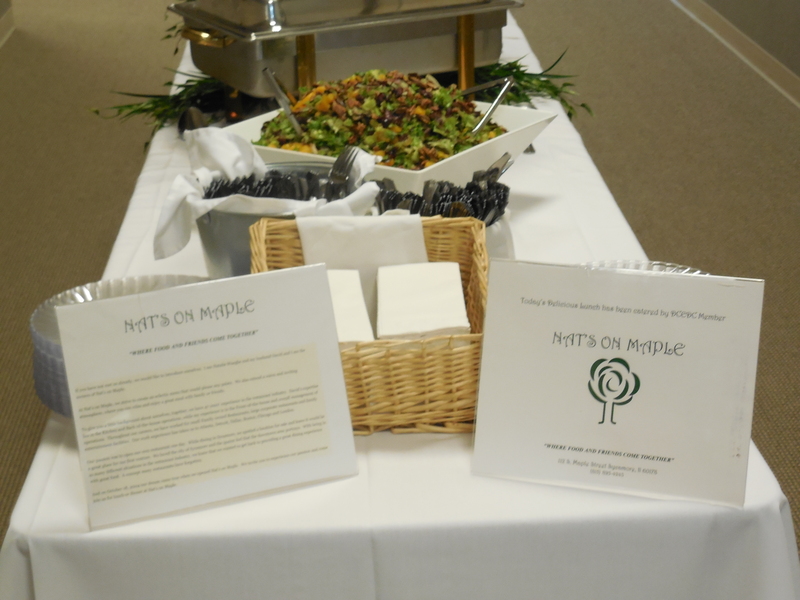 Guest had an opportunity to network with other attendees, and enjoyed a delightful lunch provided by Nat’s on Maple! The main business resources opportunities panel presentation immediately followed. The event panelist included, Dr. Jerry Blazey, Dr. Laurie Borowicz, and Chris Blumhoff. Dr. Blazey from NIU, gave the first presentation, highlighting the partnerships NIU has to offer and how those could benefit surrounding companies. He also noted the diverse program offerings that make students valuable assets in the workforce. Dr. Borowicz, from Kishwaukee College, mentioned several examples of how Kishwaukee provides programs to help students to a four-year university. Kishwaukee College focuses extensive efforts to collaborate with industries, high schools as well as NIU to provide excellent resources for the community. Finally, Blumhoff from IMEC, ended the presentation by describing how IMEC is committed to industry excellence. 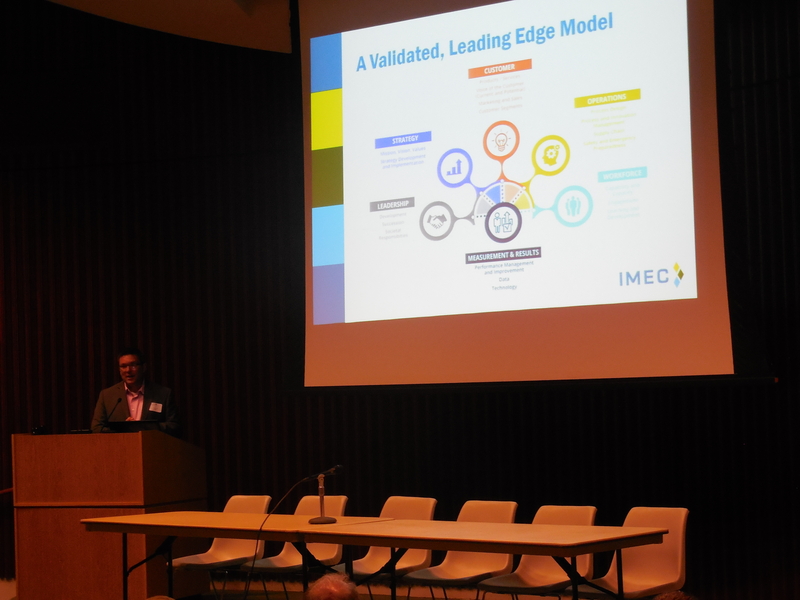 Their validated, leading edge model IMEC works with companies to bring forth success. All panelist discussed how they collaborate and will continue to work together. Afterward, guest were offered the opportunity to ask the panelist further questions and to gain further insights on their industry. Thank you to our Sponsors, SDI, Heartland Bank and Trust Company, Tate and Lyle, Clayco, Valley Industrial Association and The DeKalb County Farm Bureau for your support towards this event! We are grateful for our Co-Chairs Karen Pletsch and Gary Evans for their help planning the event! Additionally many thanks to our Annual Event Sponsors: DeKalb County, Northwestern Medicine Kishwaukee Hospital, Nicor Gas, Larson and Darby Group, OSF Healthcare, Northern Illinois University, Monsanto, ComEd, IDEAL INDUSTRIES, Venture One Real Estate, First National Bank, City of DeKalb, and First Midwest Bank! Our events truly depend on your support and we are greatly appreciative of your efforts! Thank you Nat’s for catering this event!! Special Thanks to our Industrial Focus Luncheon Sponsors! 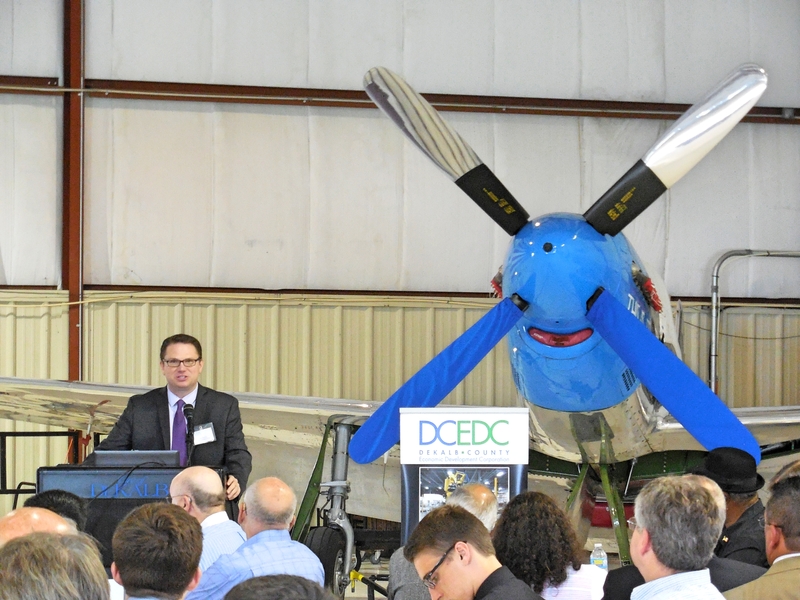 On Thursday, June 1st, DCEDC hosted their 8th Annual Large Contributors Reception. 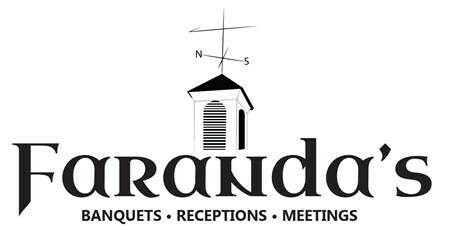 The reception was held at the beautiful Faranda’s Banquet and Conference Center in DeKalb, IL. This reception is given in honor of our Large Contributors ($1,000.00 and above) recognizing these members for supporting DCEDC at this level. These investments are essential to the 30 year old Non-Profit organization, which enables DCEDC to promote DeKalb County development opportunities that strengthen the economy, expand the tax base and create jobs! 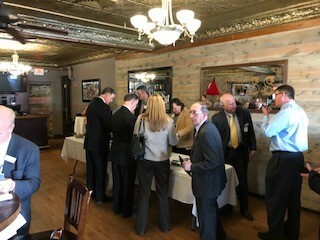 Guests enjoyed high-level networking, delicious food and refreshments, and three compelling presentations given by newly established companies in DeKalb County. Next, Steve Steinwart, President of Meadowvale, Inc., who shared the company history and why they chose to relocate to Sandwich. He noted that the financial incentives through the DeKalb County Enterprise Zone was a significant contributing factor. 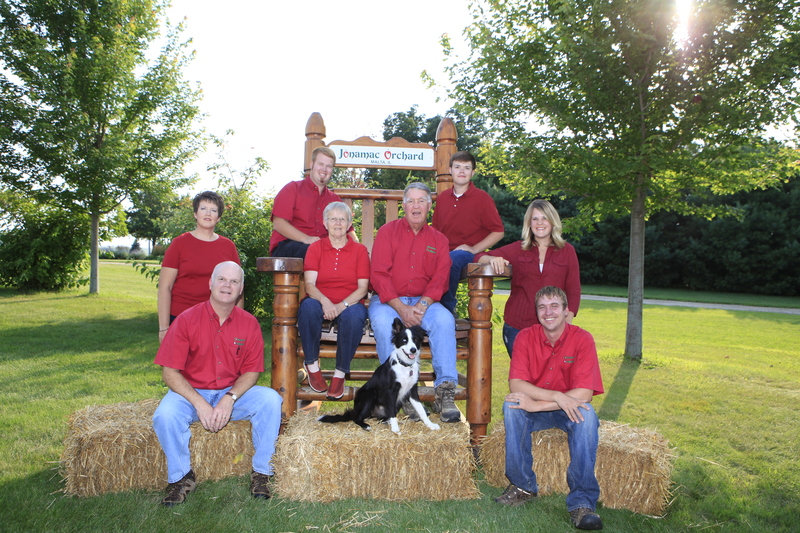 For 50 years, employee-owned, Meadowvale, Inc. is a leading manufacturer of premium high-quality dairy mixes, including ice cream, frozen custard, and soft serve. The evening closed with Director of Engineering for Solotech, David Lemmink, Solotech is a dedicated leading innovator in integrated design and engineering services and custom fabrication and much more. David has 30 years of experience in the entertainment industry. He previously worked for PRG Nocturne and joined Solotech to assist in the US expansion into the concert and touring market. Some of their clients include Lady Gaga, Chance the Rapper and many others. Solotech selected DeKalb because of its strategic location, strong workforce, and access to the engineering talent at Northern Illinois University. Logistically, had critical rail, interstate and airport access, with the DeKalb County Enterprise Zone, business expansion tax exemptions as an added benefit. The company plans to expand their workforce over the next few years. 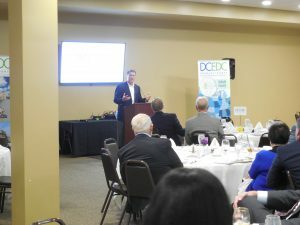 On March 24, 2017, DCEDC held its annual Economic Outlook Luncheon at Faranda’s Banquet Center. Senior Economist Bill Strauss of the Federal Reserve Bank of Chicago delivered an insightful presentation regarding the outlook of our economy. He presented data suggesting that the U.S. economy is expected to expand at a pace around trend through 2009. Additionally, Strauss stated that manufacturing output is expected to increase at a rate below its trend during 2017 and 2018 and the housing marketing is expected to continue improving through 2018. We thank the Daily Chronicle for their event coverage. We were thrilled to have Bill Strauss back for another successful Economic Outlook Luncheon! We would like to thank Bill, the Federal Reserve Bank of Chicago, Faranda’s Banquet Center, our Economic Outlook Sponsors, and last but certainly not least, our Annual Event Sponsors! 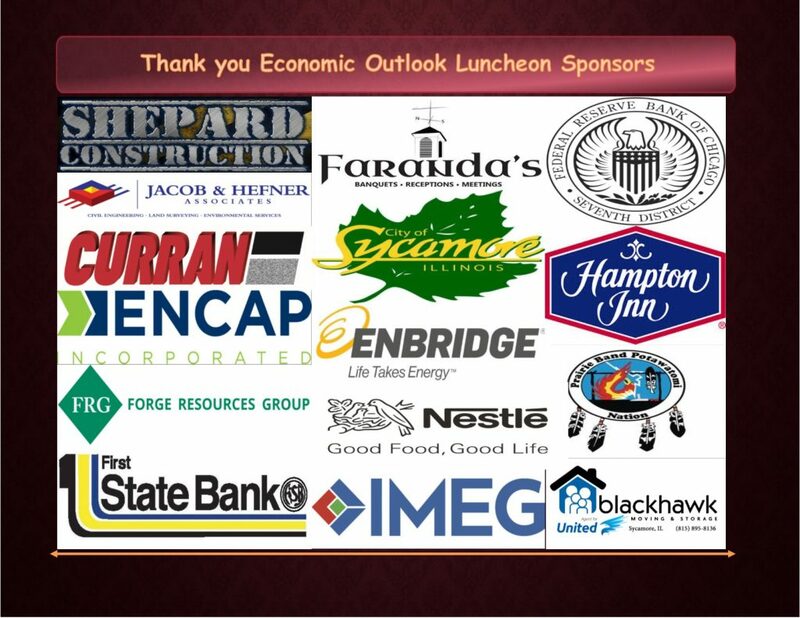 Special thanks to our Economic Outlook Luncheon Sponsors! 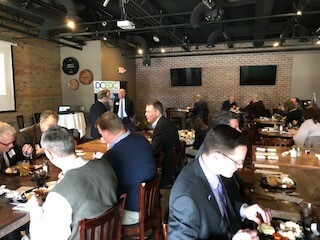 DCEDC held its first Business Roundtable this year on Thursday, February 9th, 2017 from 11:00 AM – 1:00 PM at Fatty’s Pub and Grille with a presentation from James Schultz about the recently formed economic development organization, Intersect Illinois. Prior to becoming the CEO of Intersect Illinois, Illinois Gov. 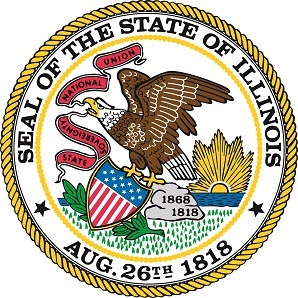 Rauner named Schultz Director of the Illinois Department of Commerce in February 2015. Schultz is a fifth generation Illinoisan, agribusiness entrepreneur, and private equity executive. Learn more about Schultz by reading his full bio. 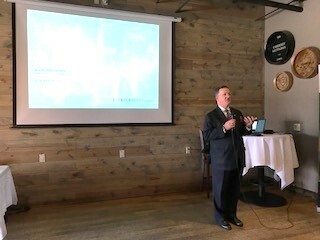 Within his presentation, Jim described the role and impact of INTERSECT Illinois on increasing Illinois’ competitiveness, focusing on business development, and job creation. Intersect Illinois works with the Illinois Dept. of Commerce and Economic Opportunity (DCEO) and other economic development organizations throughout the state to promote Illinois’ strengths and resources. 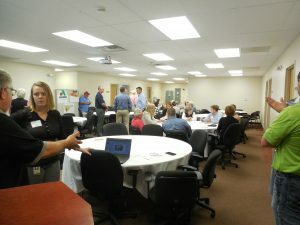 Audience members had an opportunity to engage in a question and answer session with Schultz as well as provide feedback about local economic development efforts and projects in DeKalb County. 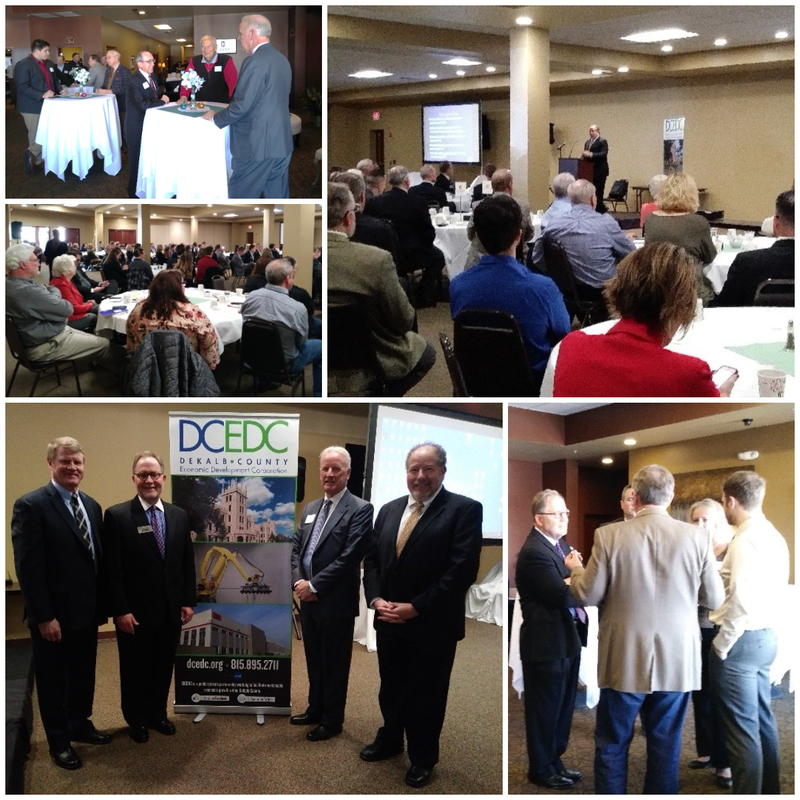 DCEDC held its 2016 Annual Dinner and State of the County Event on November 2, 2016 at Faranda’s Banquet Center in DeKalb, IL. Paul Borek, DCEDC Executive Director, gave the State of the County address that highlighted the numerous economic development projects and initiatives within DeKalb County this past year. 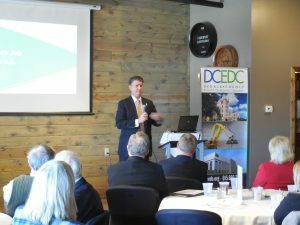 A copy of this year’s State of the County presentation is available for DCEDC members using their membership login. This year’s keynote speaker was Jim James, Chairman and CEO of IDEAL INDUSTRIES, INC. James has served as IDEAL INDUSTRIES, INC. President and CEO since 2008 and Chairman and CEO since 2014. With more than a quarter-century of experience across several industries, including metal fabrication, aerospace, chemical adhesives and building components, Jim James leads IDEAL INDUSTRIES, INC. with a wealth of knowledge and visionary leadership. 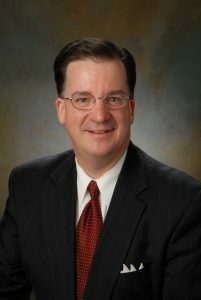 A graduate of Georgia State University (MBA) and the University of Wisconsin (BS in Industrial Technology), Jim also spent 16 years with Illinois Tool Works before joining IDEAL in 2008. In his presentation, James discussed the importance of a company’s willingness and ability to change and grow. He noted that this often includes taking calculated risks to build on the company’s foundation as well as its operational processes and abilities. Have you ever thought about how much of an impact the DeKalb Taylor Municipal Airport has on our economy? Jack Penning, Executive Director of Strategy & Development for Sixel Consulting Group, provided insights at our September 8th Business Roundtable Luncheon held on location at the airport. The DeKalb Taylor creates a total annual economic impact of $10.7 Million each year! This includes the direct impact of those using and operating the airport, the indirect impact of visitor and corporate spending, and the induced impact of downstream spending and payroll. 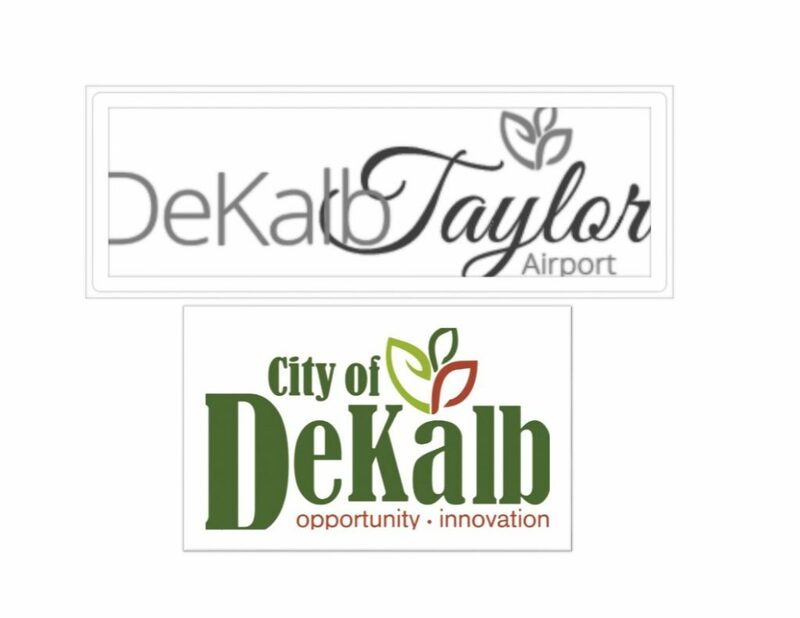 Having an airport like DeKalb Taylor is important in attracting business development. Companies using business aircraft outperformed those that do not by .5% to 2%, according to Penning. 3M, Target, Johnson Controls, Menards, Walmart and Monsanto all use the DeKalb Taylor. With a 7,026 foot runway, DeKalb Taylor Airport in among the most well-equipped in Northern Illinois to serve corporate jets. 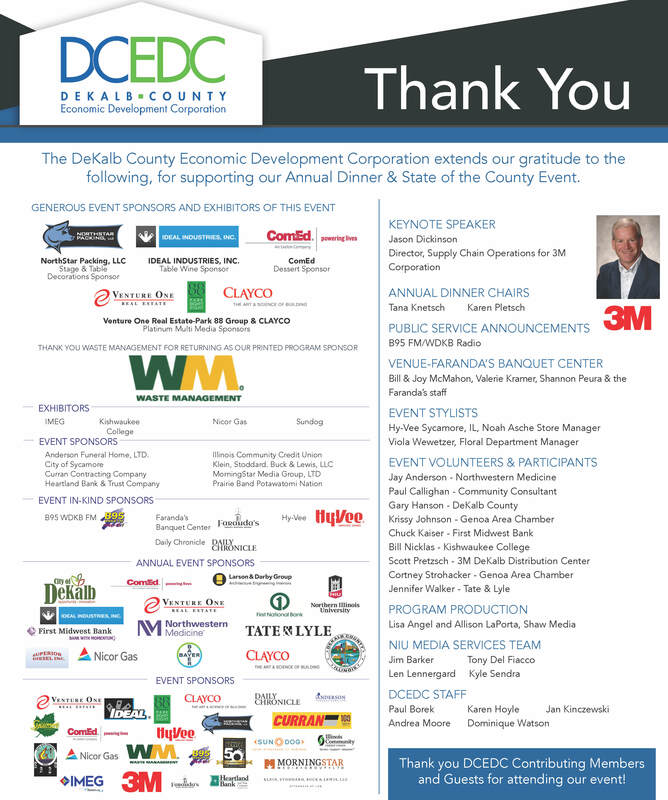 We express our appreciation to our guests, our keynote speaker Jack Penning, the City of DeKalb, Illinois,DeKalb Taylor Municipal Airport, Fatty’s Catering Group, and all of our Annual Event Sponsors (listed below) for contributing to the success of the DeKalb Taylor Airport Business Roundtable! On Thursday, June 30th, DCEDC hosted the 2016 Technology Focus Luncheon. The focus of this event was to provide information on the emerging business technology needs and applications. 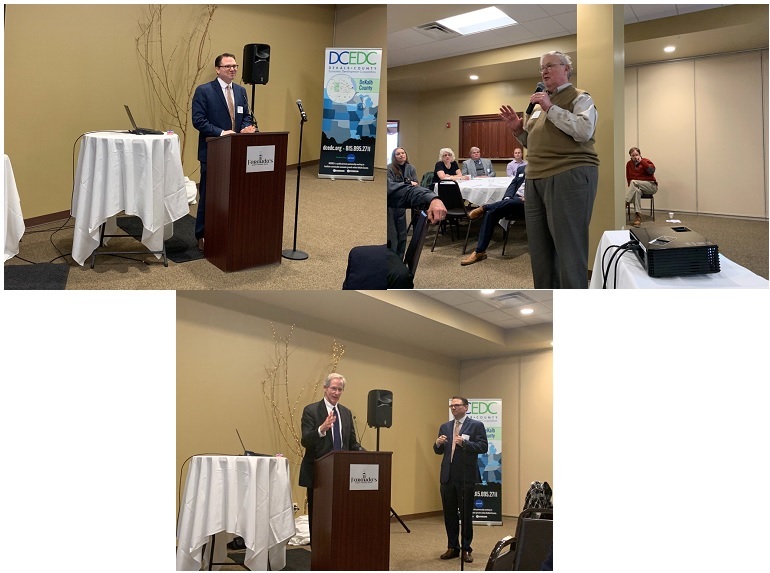 With a combination of over one-hundred attendees from the community and DCEDC members, three presenters, Brett Coryell*, Tim Clark**, and Cohen Barnes***, shared insight on technology in the workplace. Coryell gave an overview of Regional Broadband and Fiber incentives, Clark spoke about the integration of IT, engineering, production, operation feedback and its importance, and Barnes provided information about Emerging Small Business IT Needs or Domestic IT Outsourcing Opportunities. Each demonstrated exceptional knowledge on the subject and delivery skills resulting in a well-received presentation. DCEDC President, Greg Millburg, proceeded to administer a question and answer session. The three presenters sat on the panel. Attendees inquired with detailed questions and the panelists engaged with thoughtful answers. 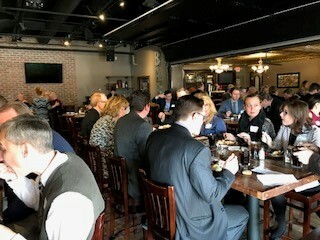 The luncheon was hosted at 1312 W Lincoln Highway at Fatty’s Pub and Grille where DCEDC’s newest contributing member, Fatty’s Catering Group, provided delicious food, a lovely atmosphere, and spectacular service. **Tim Clark: Corporate IT Director, IDEAL INDUSTRIES, INC.
As a continuation of a joint economic development visioning process, NIU, DeKalb County Government, DCEDC, DeKalb County Community Foundation, and DeKalb County Farm Bureau will be holding a “DeKalb County Thriving!” Summit on Tuesday, May 24th from 8:00 – 9:30 AM at the DeKalb County Farm Bureau in Sycamore. The goal is to discuss suggested priorities for development and a draft economic development vision for the county with members of the public. Please see the full Press Release from NIU Today. 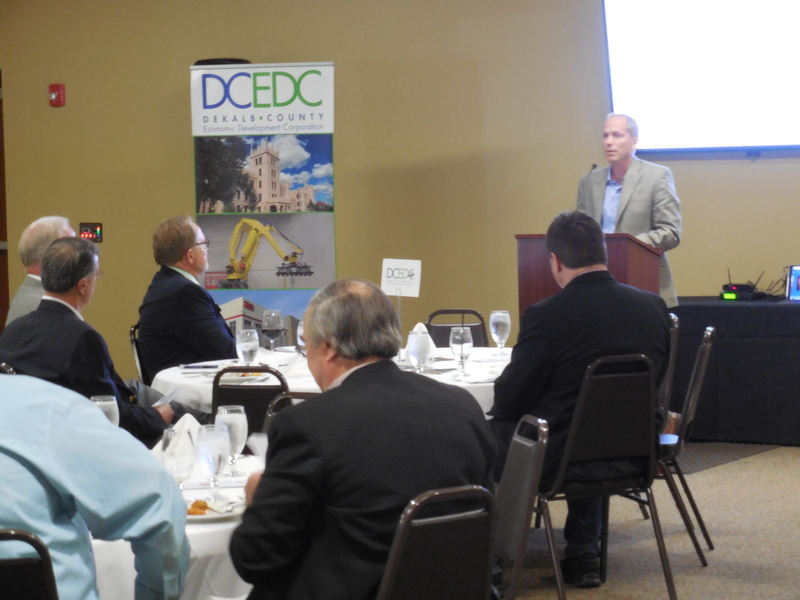 DCEDC welcomed back Strauss as keynote speaker for their annual economic outlook luncheon. The event was held on Thursday, March 17th at Faranda’s Banquet & Conference Center at 302 Grove Street, DeKalb, IL. Within his presentation, Strauss stated that the US economy is expected to expand at a near trend pace through 2018 and employment is expected to moderately grow with the unemployment rate holding at the natural rate. Manufacturing output is expected to grow at a rate below trend in 2016 and into 2017. More detailed information can be found within his slide presentation from the event, published in the Members Only area. Strauss is particularly qualified to evaluate trends and forecast economic performance because he organizes the Fed’s Economic Outlook Symposium and Automotive Outlook Symposium each year while analyzing the performance of both the Midwest economy and the manufacturing sector. In addition, he conducts industrial and manufacturing roundtables throughout the year. 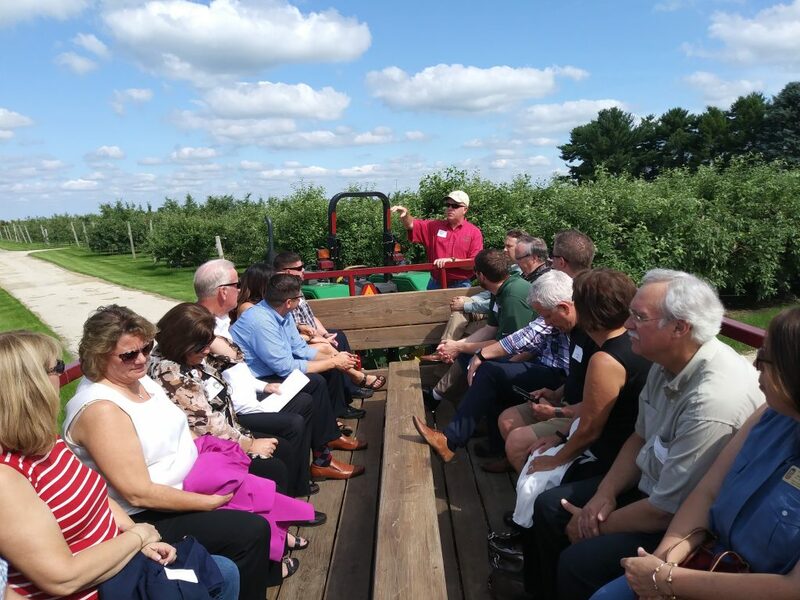 DCEDC collaborated with the DeKalb County Board, DeKalb County Community Foundation, DeKalb County Farm Bureau, and NIU Center for Governmental Studies in preparing a vision for countywide economic development. 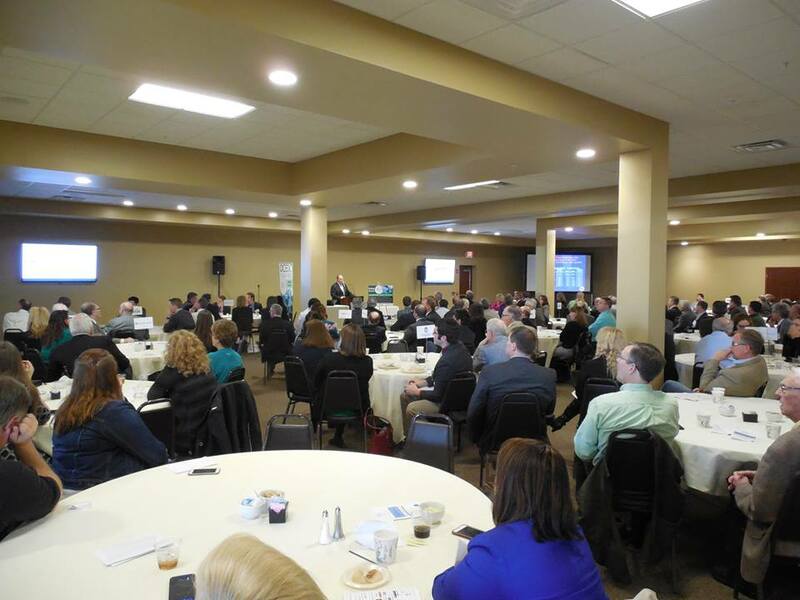 The summit featured a presentation from Brian Richard from the NIU Center for Governmental Studies and provided participants an opportunity to discuss and share feedback about economic development within DeKalb County. 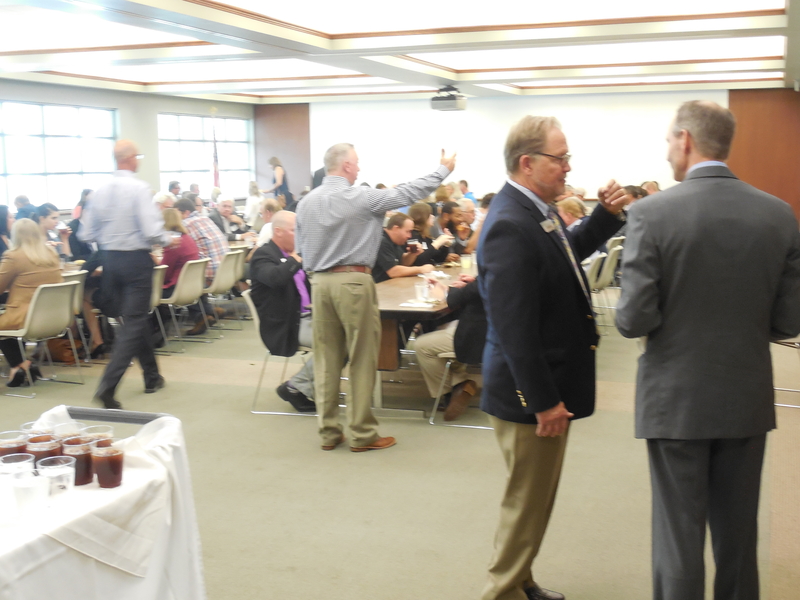 Two identical sessions were held on Tuesday, November 17th at the DeKalb County Farm Bureau. 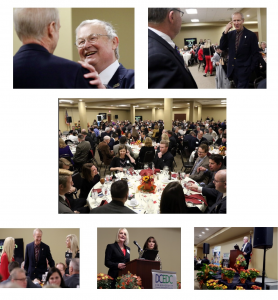 DCEDC held its 2015 Annual Dinner/State of the County presentation on Thursday, October 29, 2015 in the Duke Ellington Ballroom located in the NIU Holmes Student Center. 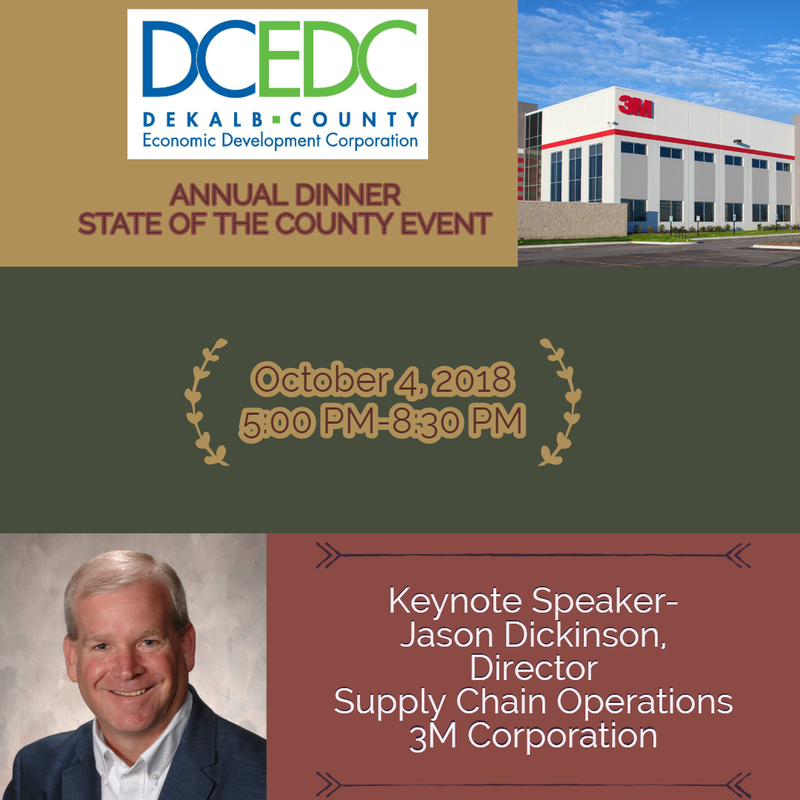 Paul Borek, DCEDC Executive Director, gave the 2015 State of the County presentation, highlighting the economic development around DeKalb County. A special presentation was given by keynote speaker Illinois Gov. Bruce Rauner who complimented the achievements of DeKalb County and the value of its workforce. A panel of DeKalb County arts, entertainment, and tourism industry leaders facilitated discussions on the economic impact of DeKalb County culture. Panelists’ presentations conveyed the importance of DeKalb County entertainment centers such as the Egyptian Theatre, Huskie Stadium, and the NIU Convocation Center on local job creation, tax revenues, and hotel/amenities spending. Discussion also included current initiatives underway including hosting the upcoming IHSA Football Championships and expansion of events/programming at the Egyptian Theatre and Convocation Center. Guest Speakers: JD Heinrich, Forge Brewhouse; Rick Mamoser, Prairie State Winery; Andrew Nordman, Cademon Brewing Co. and Jamie Walter, Whiskey Acres Distilling Co.
Faranda’s Banquet Center 302 Grove Street, DeKalb, IL 60115. Click here to see photos and more from the event. DeKalb County Farm Bureau 1350 West Prairie Drive, Sycamore, IL 60178. Click Here to read more about resources available to DeKalb County businesses! DeKalb County Farm Bureau 1350 West Prairie Drive, Sycamore, IL 60178. Click Here to see photos from the Economic Outlook Luncheon 2015. Keynote Speaker, Jim Dugan, Executive Support Manager for the office of the Chairman and CEO of Caterpillar Inc.
Faranda’s Banquet Center 302 Grove Street, DeKalb, IL 60115. 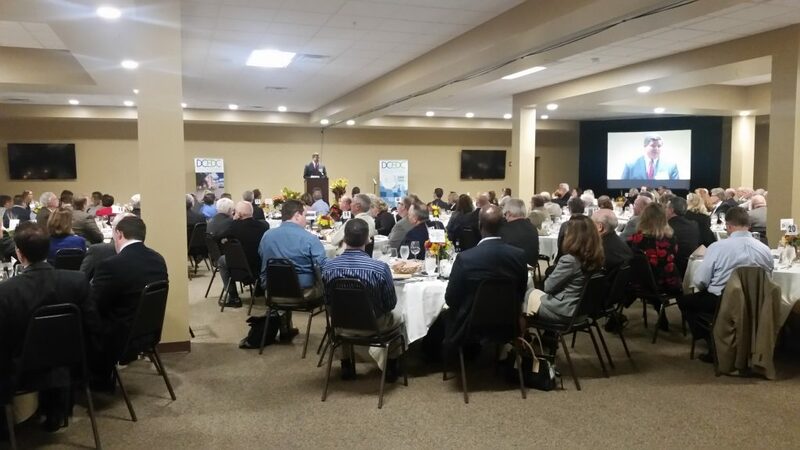 Click Here to read more about our Annual Dinner/State of the County. DeKalb County Farm Bureau 1350 West Prairie Drive, Sycamore, IL 60178. 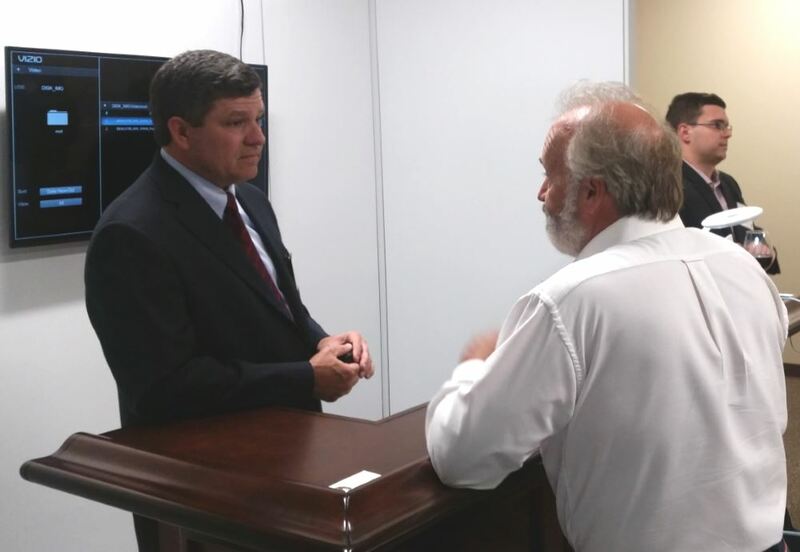 Click Here to read more about our Healthcare Reform Business Roundtable. Say “YES” to Manufacturing! Tour IDEAL INDUSTRIES, INC. 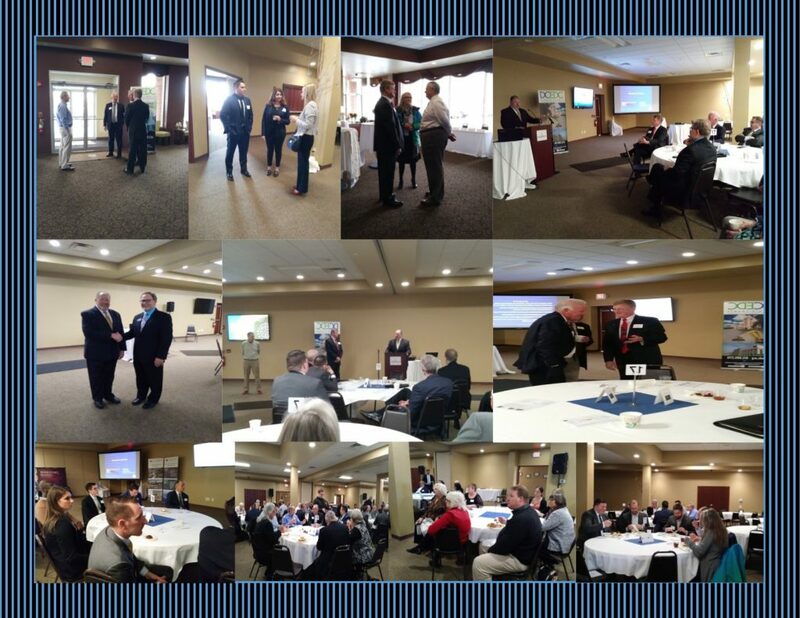 Guest Speaker, Jim James, CEO/Chairman of the Board, IDEAL INDUSTRIES, INC.
DeKalb County Farm Bureau & IDEAL INDUSTRIES, INC. Click Here to see photos from Say “YES” to Manufacturing! Tour IDEAL INDUSTRIES, INC.
For a list of our partner organization events please Click Here.